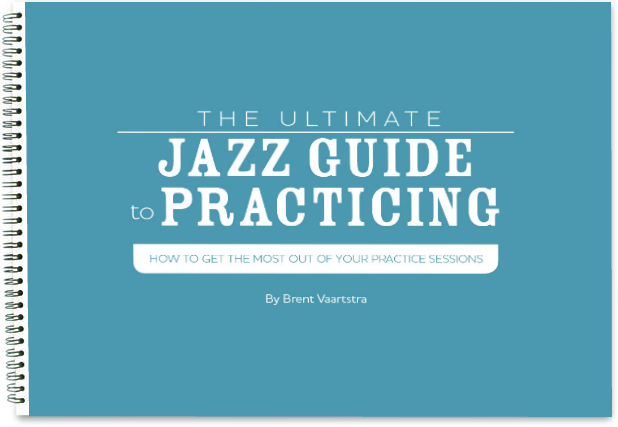 On Learn Jazz Standards I often encourage listening to lots of jazz music. If you aren’t listening to the music you simply won’t ever truly get it. At the end of the day, listening to jazz is easily one of the most important parts of your jazz education. Often when I talk about this I’m referring to records from the early jazz era, the swing era, bebop, hard bop, cool jazz and even early free jazz era. These are important records to listen to so you can learn the fundamentals of jazz, it’s tradition and where this music comes from. These are artists like Louis Armstrong, Miles Davis, Charlie Parker, John Coltrane, among many others. But the great thing about jazz is it’s a constantly changing and evolving music. It always has been if you look back through jazz history. When you look at modern jazz today you see a huge range of influences. Some artists have kept closer to the swing tradition, some have incorporated R&B, hip-hop, rock, Latin styles, and some have even created unique styles of their own. Back in the earlier days of Learn Jazz Standards, we had created many album reviews of newer jazz albums in an effort to promote the great stuff that was going on in jazz today. These are all albums we love and were important to our jazz education coming up. While we don’t write jazz album reviews anymore, we want to make sure you check out these albums. By no means is this a list of “the best” modern jazz albums. This is simply a list of the ones we like, and from these, you can discover hundreds more. Go ahead, browse through the albums! If you want more information on them, click the “i” button. If you want to listen to one or consider purchasing it, click on the Amazon button. I hope you give a bunch of these a listen! If you’d like, leave a modern jazz album you would suggest in the comments below. Learn Jazz Standards.com is proud to promote saxophonist Grant Stewart’s 2010 release of Around the Corner. Joining Stewart in this power-house quartet is the renowned guitarist Peter Bernstein, the great bassist Peter Washington, and his brother Phil Stewart on drums. Quoting influence from saxophonists such as Sonny Rollins, John Coltrane, Lester Young, and Don Bias, Grant Stewart has been an integral part of the NYC jazz scene for years. Around the Corner presents a repertoire of familiar standards and others you might not be acquainted with. This band swings hard and brings to us some of the best jazz has to offer today. From uptempo pieces such as the classic standard Get Happy and Something’s Got to Give, to the beautifully executed ballad I Waited for You, Stewart and his band demonstrate a mastery of the jazz language. For a majority of the tunes, Stewart sticks to the tenor saxophone except for Tadd Dameron’s composition The Scene is Clean and the enchanting ballad Maybe September. The enjoyable take of Alec Wilder’s That’s My Girl is swinging and hosts some great solo’s. Around the Corner presents all that is good in jazz. The solo’s are exciting and always fresh, the swing is there, and the tunes are exactly what we ordered. Don’t miss out on this excellent record. Definitely worth many listens! Learn Jazz Standards.com is proud to promote organist Larry Goldings’ 2000 release of As One. Joining Goldings is his long time friends and bandmates guitarist Peter Bernstein, and drummer Bill Stewart. This trio has an intimate connection. Starting as fellow students at the New School in New York City during their college days, the trio evolved into a sought-after band, performing under the name of each one is members throughout the years. The trio capitalizes on swing, and no group can swing harder than these guys! Mixed Messages kicks off the record with a beautifully phrased melody by Bernstein. Larry Golding’s takes an excellent solo, weaving through the changes with finesse and taste. The classic ballad The Thrill is Gone has a great arrangement on it. Bernstein plays a heart felt solo, and the melody is spiritual at times, deep and transcendent. The anthem-like Back in the Day hosts a catchy melody, saturated with blues and a tight straight-eight groove. The title track As One is atmospheric and free flowing, a break from the hard driving swing and groove-oriented pieces. The trio pays homage to The Zombies with their hit tune Time of the Season. As One lives up to its title. The trio is cohesive, breathing as one, playing as one, and their sound comes together as one. This is one of the best groups that modern jazz has to offer, a group tested by time. If you want to hear music at some if its highest levels, please look no further. Learn Jazz Standards is proud to promote pianist and composer Tarek Yamani’s 2012 release of Ashur. Joining Yamani on this trio release is Goran Krmac on Tuba, and Kristijan Krajncan on drums. Born in Lebanon, Tarek Yamani has distinguished himself not only as an accomplished pianist but as a prolific composer. It is his unique compositions that elevate this record to incredible artistic levels. His tune Sama’i Yamani,drifting in and out of melodic and rhythmic motifs, won him the prestigious Thelonious Monk International Composer’s Award in 2010. Yamani does not fear the unconventional; bringing in a Tuba to fill in the bass parts, which melds brilliantly into the bands sound. The opening number Passegiatta is but one example of tastefully composed bass lines, often doubled by the piano. The compositions are riddled full of rhythmic twists and time signature changes, a signature of Yamani’s work. The intense piece, Ashur exemplifies this, featuring a slew of virtuostic improvisation by the pianist. Dabke in Eb Nakriz, allows for a solo piano number. Prelude No. II in C Minor confirms a strong classical influence; a beautifully executed piece with cohesive interplay. Ashur is a record that displays personality. Tarek Yamani and his band have brought us honest music from the soul worth many listens. If you were not acquainted with Mr. Yamani before, consider this your introduction. Learn Jazz Standards.com is proud to promote pianist Gonzalo Rubalcaba’s 2008 release of Avatar. Joining Rubalcaba on this release is Yosvany Terry on saxophones, Mike Rodriguez on trumpet, Matt Brewer on bass, and Marcus Gilmore on drums. On this record, the Cuban-pianist delves into the music of his fellow musicians. All but one of the original tunes is written by his bandmates. This album is propelled by virtuosity and groove. The group approaches their interaction with a loose and free nature; a characteristic of jazz in its modern form, however Rubalcaba does not forget his Latin roots. Rhythm and energy is saturated in this repertoire. The bass and piano double lines on tunes such as Into the Retrospective. Gonzalo also demonstrates his sensitivity and mastery of the trio on Horace Silver’s ballad Peace. This record is highly recommended for jazz fans who truly love the evolution of the music and where it is going. Creativity is let loose, allowing there to be no lack of excitement and movement. Rubalcaba’s voice as a pianist is very special, and for those who are not familiar, he is a must to check out. Avatar is a gem of a record in the modern jazz movement. Learn Jazz Standards.com is proud to promote the acclaimed guitarist Bill Frisell’s 2010 release of Beautiful Dreamers. Joining Frisell for this unique trio record is drummer Rudy Royston, and on viola Eyvind Kang. This unorthodox group invites us into Frisell’s world of sounds; unafraid to be unconventional and willing to let the music speak for itself. This project of his comes with great rewards, and the music he and his “dreamers” produce is enlightening. To those who are familiar with Frisell, you know of his distinctly unique, clean sound, and his embrace of all sorts of styles of music including, rock and folk. All of these elements are present on this record, and simplicity takes the spotlight. Love Sick sounds just like the title suggest. Mournful, slow; a short piece to introduce the set. The band appropriately plays their rendition of the classic Stephen Foster tune Beautiful Dreamer. There are beautiful choruses of interactions between the viola, drums, and guitar before Frisell comes in with the melody at the end. It’s Nobodies Fault but Mine, is a blues-rock influenced anthem, and Frisell’s guitar work shines on this one. Baby Cry also represents it’s title well. An enchanting melody is doubled by Frisell and Kang, Royston gently responding beneath them. The group does their own unique version of the classic standard Tea For Two. The ballad-like composition All We Can Do has a passionate melody, which is played beautifully at first just by Frisell, but the second time around is joined with the viola which really lifts it up. Beautiful Dreamers really epitomizes the musical mission Frisell has set out to accomplish. There are no apologies, just simply honest, great music. This is an excellent record, one worth adding to the collection for sure. Learn Jazz Standards.com is proud to promote pianist Gerald Clayton’s 2011 release Bond: The Paris Sessions. This is Clayton’s second release as a leader featuring his trio which includes Joe Sanders on bass and Justin Brown on drums. This is a superb record and definitely worth checking out. It features lot’s of great original work as well as some great renditions of old standards such as “All The Things You Are” and “If I Were A Bell”. In my opinion this is one of the best new trios out right now. Clayton, Brown and Sanders have an incredible musical connection that you will not want to miss! Born in the Netherlands in 1984, Gerald grew up mainly in Los Angeles with a musical family that includes his father, bassist/composer John Clayton, and uncle, saxophonist Jeff Clayton. At the age of six Gerald began eleven years study of classical piano with Linda Buck before enrolling in the Jazz Studies program at the University of Southern California. In college in Los Angeles and a year at the Manhattan School of Music, Gerald studied piano and composition under Shelly Berg, Billy Childs, and Kenny Barron. Professionally, Gerald has had the honor of performing nationally and internationally with some of the most established names in Jazz such as Lewis Nash, Al Foster, Terrell Stafford and Clark Terry. Duo piano concerts with Gerald have featured artists as celebrated and diverse as Hank Jones, Benny Green, Kenny Barron, Mulgrew Miller and Tamir Hendelman. Gerald also relishes playing with Jazz’s next generation of innovators: Ambrose Akinmusire, Dayna Stephens, Kendrick Scott and many others. Learn Jazz Standards.com is proud to promote world-renowned trumpeter Terence Blanchard’s 2004 release of Bounce. Joining Blanchard for this release is a host of incredible musicians: Brice Winston on saxophones, Eric Harland on drums, Brandon Owens on bass, Robert Glasper on Hammond organ and fender roads, Aaron Parks on piano, and Lionel Loueke on guitar. Bounce is a record full of energy, exciting turns, and phenomenal musicianship. While Blanchard is steeped in the roots of jazz, he is also fully aware of its developments. His compositions push the envelope of jazz composition, and his band interprets them with sincere creativity. Opening the record is the Latin-influenced number On The Verge. Parks takes an excellent solo to kick off the blowing section followed by a riveting and rhythmic solo by Brice Winston. Blanchard’s trumpet playing is astounding; filled with lyrical lines and tremendous power. The band does a great rendition of Wayne Shorter’s classic hit Footprints. The tune is played in 4/4 time with a heavy back beat, a refreshing take on an old standard. The triumphant Innocence is a beautiful piece with a host of great solos and rhythm section work. Bounce is highly recommended. Its a record that expresses genuine musical personality, and musicians working together at there best. Worth many listens over! Learn Jazz Standards.com is proud to promote world-renowned pianist Eldar Djangirov’s 2013 release of “Breakthrough”. Joining Djangirov for this album is longtime band mates Ludwig Afonso on drums and Armando Gola on bass. While the focus remains on this cohesive trio, they are joined by some very special guests on a few tracks, acclaimed saxophonist Chris Potter and vibraphonist Joe Locke. Breakthrough is packed full of energy and excitement, traits that are not foreign to the works of Eldar Djangirov. The trio is tight and the creativity flows freely. Djangirov has once again compiled a collection of music that not only sounds beautiful in itself, but allows his listeners to share in the musical experience with him. Breakthrough is full of different flavors. Originals and standards make up most of this record, all with fresh and creative interpretations. The album opens up with Point of View Redux, a high energy piece that wastes no time in showing what the trio is capable of. The title track Breakthrough is progressive and intricate. The band weaves effortlessly through a series of time changes and rhythmic phrases; elements common to Djangirov’s compositions. Chris Potter is featured on this tune and takes a fantastic solo. The rendition of the classic standard What’ll I Do is played gorgeously. The ballad is played with great sensitivity, showing the other side of this trio’s tight chemistry. Djangirov takes a great solo on Morning Bell, a heartfelt composition. The band doesn’t hesitate to swing on tunes such as No Moon At All. Eldar’s roots in the jazz tradition are clearly evident throughout this album. Joe Locke is featured on Blink, another energetic and progressive composition. Locke and Djangirov compliment each other well, and both take incredible solos. The record ends on a solo piano piece, Good Morning Heartache, a ballad that seems to close Breakthrough appropriately. Breakthrough is one of my favorite Eldar Djangirov records yet, and is highly recommended. There is nothing better than music that reflects the soul of an artist, and this is exactly what Djangirov has done here. This record is enjoyable and highly entertaining. Poncho Sanchez and Terrence 2011 record, Chano y Dizzy, celebrates Dizzy Gillespie and his groundbreaking music with Chano Pozo. Chano and Dizzy were instrumental in the development of Afro-Cuban jazz, fusing Cuban rhythms with American jazz. This record is incredible all the way through. I’m definitely partial to latin jazz, and NO ONE does it better than Poncho Sanchez. Add trumpet superstar Terrence Blanchard into the mix, and you have one INCREDIBLE record. If this record doesn’t make you want to get up and dance, then either you need some salsa dancing lessons or there is definitely something wrong with you! If you like latin jazz, this is a must have in your collection. Dave Kikoski is one of the great jazz pianists on the scene today. His 2012 release “Consequences” features an all-star cast: Christian McBride is on bass and Jeff “Tain” Watts on drums. I admire Dave Kikoski for his ability to play in two different camps so convincingly. He can play completely straight-ahead, burning and swinging. He can also stretch the boundaries and play more modern ideas. Not only that, but he can switch effortlessly back and forth between the modern and straight-ahead at will. I love his playing because he has a tremendous grasp of the history and development of jazz piano. This is a thrilling record. I love hearing a record that can go between an Oscar Peterson/Ray Brown traditional sound to McCoy Tyner to Kenny Kirkland and beyond. This is an incredible album, and Learn Jazz Standards is proud to promote it. Go buy this fantastic record today! Learn Jazz Standards.com is proud to promote renowned drummer Kendrick Scott’s 2013 release of “Conviction”. Joining Scott on this project are the members of his Oracle band: Mike Moreno on guitar, Joe Sanders on bass, Taylor Eigsti on piano and keys, John Ellis on tenor saxophone and bass clarinet, and vocalist Alan Hampton. The title of this record describes it’s content. Conviction delivers sincerely honest music to its audience and does not compromise its intent of self-expression. One of the most enjoyable aspects of this record is understanding the vision and perspective of Kendrick Scott through his music. All of the repertoire seems to portray the personality of Scott and describe where he is and where he’s been. You are taken on a journey when listening to Conviction from beginning to end. Many of the tunes continue off of each other and lead very sensibly into the next; keeping the vibe alive but offering different moods. This record displays a variety of different influences and genres. “Too Much” for example seems to come from the singer/songwriter realm. Alan Hampton does an incredible job with the vocals on this track and Moreno and Eigsti take great solos. Sanders takes the first melody on Herbie Hancock’s “I Have A Dream” and also starts the blowing section with a great solo. “Cycling Through Reality” starts with a great drum intro by Scott, leading into a heavy groove into the melody. Ellis, Moreno and Eigsti trade choruses during the solos. The title track “Conviction” is written by bassist Derick Hodge who also produced the record. It’s a short and intense piece with a bold melody. Scott takes a great solo to finish of the tune. “Be Water” starts with a sampled monologue of Bruce Lee, setting the stage for the tune. Moreno and Ellis improvise together and create some beautiful musical dialogue. This record is highly recommended. If you are looking for music that will move you, look here. Kendrick Scott and his Oracle have successfully created music that reaches deep and remains true to itself. Learn Jazz Standards.com is proud to promote pianist Brad Mehldau’s 2005 release of “Day is Done”. The title track refers to the haunting melody written by singer songwriter Nick Drake, a piece that Mehldau’s trio executes with brilliant freshness. This release marked the first record done with Jeff Ballard replacing Jorge Rossy in Mehldau’s trio. Larry Grenadier remains in the bass chair, a huge force of direction and inspiration for the band. The brilliance of Mehldau is his mastery of the art of the cover song. Artists such as Radiohead, Nick Drake, Paul Simon, and the Beatles are covered, all in inventive new ways. This record is exceptionally beautiful and deep. The connection of this trio is one of the best that has come out in decades; a group that flourishes in the moment. Day is Done is a true gem, a record with a perfect balance of emotional content and musical honesty. The bar for trio playing has truly been raised. Arturo Sandoval never fails to come through, again and again! His new album Dear Diz (Every Day I Think of You) is no less than incredible! What is it with the influx of trumpet players tackling tribute albums to Dizzy Gillespie’s latin side these days? Less than a year after Terrence Blanchard’s foray into latin jazz with Poncho Sanchez, Arturo Sandoval comes out with his own exceptionally well-done record. Introduced on the first track by Dizzy Gillespie (from an old concert, of course), Arturo comes out with a fantastic blend of afro-cuban and swing charts, Dizzy style. Arturo assembled an ALL-STAR crew for this date, bring along for the ride musicians such as Joey DeFrancesco, Shelly Berg, arranger Gordon Goodwin, Bob Mintzer, Gary Burton, Wayne Bergeron, Ed Calle, and many others. There are some incredible, unique arrangements on this album of big-band charts, such as Dizzy’s Salt Peanuts. The incredible big arrangements are broken up by a couple of moving arrangements featuring some tasty string sections on Con Alma (with Soul) and Arturo’s touching vocal one Every Day I Think of You. This is no ordinary tribute album, as Dizzy helped Arturo immensely in Arturo’s early career. Arturo expresses his gratitude on the track Every Day I Think of You, a vocal in which Arturo thanks Dizzy Gillespie, singing “You saved my life, dear Diz, you set me free.” I highly recommend this album! 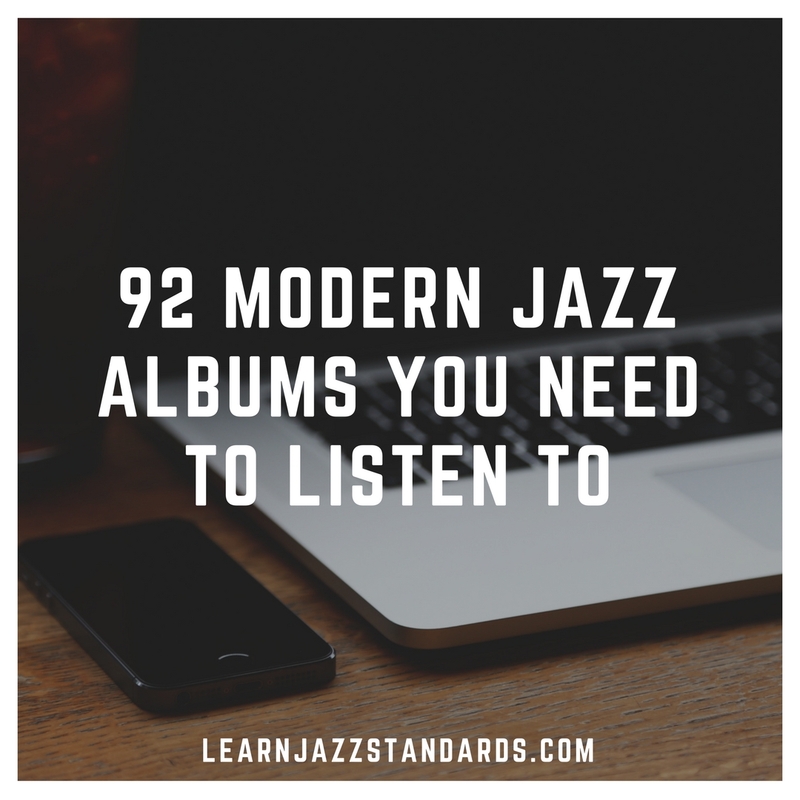 Because listening to jazz is so important to the jazz musician, Learn Jazz Standards is starting to promote the albums of current jazz artists. It’s important to be familiar with old classic recordings, BUT we should really all stay current on all the great jazz being produced today! Jazz is alive and vibrant with many newer artists-and our goal is to promote great albums and help spread the word! Tamir Hendelman is incredible jazz pianist, and we are proud to promote Tamir’s 2010 album “Destinations.” Give it a listen! With Marco Panascia on bass and Lewis Nash on the drums, this is a very hard-swingin’ album! Great stuff. Tamir Hendelman has quickly become one of the top young jazz artists to emerge within recent years, and is one of my personal favorite jazz musicians on the scene today. With John Coltrane, you got to see his musical development and progression through his many albums – from playing mostly standards and accessible originals in his earlier collaborations in the 1950s with Monk and Miles, to Giant Steps and other subsequent albums that progressively pushed the envelope further and further, to his magnum opus, “A Love Supreme,” in 1965. 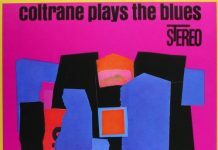 Though Coltrane released a few albums after “A Love Supreme,” — such as the 1966 free jazz album “Ascension” — “A Love Supreme” was really a culminating artistic acheivement for Trane. It was also a watershed moment in jazz history. In a sense, the development of John Coltrane and Miles Davis mirrored the history of modern jazz, starting with the standards, and then moving on to other trails with innovative sounds and challenging originals. Many other jazz artists end up treading a similar path in their own music. Justin Nielsen’s “Divine Colors” reminds me of Trane’s “A Love Supreme” in some ways, with many other musical influences, notably Brian Blade’s Fellowship Band. It is unfortunate that the world has not gotten to experience more of Justin’s artistic development through more albums that catalogue his approach to standards and other material over the years. However, we have in “Divine Colors” a beautiful, unique, and programatic piece of music that offer Nielsen’s artistic impression of three attributes of God: Wisdom, Joy, and Peace. “Divine Colors” is definitely art music. There are only three tracks on the album, which range from about 10 to 20 minutes in length. The album is like a live concert setting that gives the listener a true musical experience. This isn’t background music, but it offers something really wonderful for the discerning listener who is able to give their attention to the music and experience the beauty it has to offer. “Divine Colors” is a jazz symphony, played by some fantastic musicians. Pianist Justin Nielsen is joined by his brother, Ryan Nielsen, on the trumpet, Clark Sommers on the bass, guitarist Matt Wrobel, vocalist Cari Stevens, drummer John Bishop, and 4 cellists: Micah Claffey, Shea Kole, Jake Saunders, and Stephen Mathie. Justin Nielsen has inspired many young artists in Southern Idaho, including myself and my LJS business partner, Brent Vaartstra. Both of us studied with Justin together in a Young Artist program back in 2008-2009. 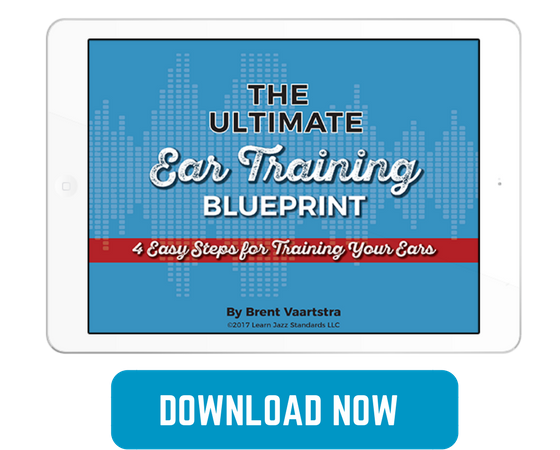 Brent Vaartstra and I really became good friends while studying with Justin. Since Justin had a profound impact upon both of us, it is not a stretch to say that without Justin Nielsen, LearnJazzStandards.com would not exist! 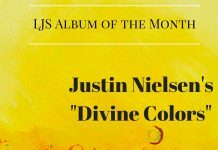 You can listen to “Divine Colors” at Justin’s website. I encourage you to listen to the whole thing. You can download the album from his website, and you can name your own price. Consider sharing it. I encourage you to support this wonderful artist, inspiring music educator, and all-around outstanding human being-Justin Nielsen! Learn Jazz Standards.com is proud to promote saxophonist Joel Frahm’s 2003 release of “Don’t Explain”. Joining Frahm on this duo recording is his long-time friend and pianist Brad Mehldau. The two musicians grew up in the same town together and used to check out records and play together frequently. This would explain the tight and intimate connection that can be heard on this album. What you hear on Don’t explain is a mutual understanding of both individuals musical thoughts and perceptions. This is what makes this record so unique and special. It’s the sonic experience of a relationship knit together by experiences and driven by the same motivations. The duo explores a set of standards and covers ranging from Billie Holiday’s Don’t Explain to the Thelonious Monk classic Round’ Midnight. Tunes like East of the Sun are approached in a conversational fashion as opposed to Mehldau playing the part of accompanist. These are some of the most interesting moments on the record. Frahm plays soprano on their beautiful renditions of Smile and Mother Nature’s Son, to take a break from the tenor. Duo recordings can often be very special to listen to, because it can feel as if you are eavesdropping on a conversation. Don’t Explain feels just like this. This record is highly recommended, don’t deprive yourself of this one! Learn Jazz Standards.com is proud to promote renowned trumpeter Roy Hargrove’s 2008 release of “Earfood”. Joining Hargrove for this quintet record is Justin Robinson on alto sax and flute, Gerald Clayton on piano, Danton Boller on bass and Montez Coleman on drums. As always, Hargrove has thoughtfully picked out his band, resulting in phenomenal interplay and creative musical conversations. “Earfood” is exactly what the title suggests, a feast for the ears. With a perfect blend of swing, blues, tasteful ballads and exploratory compositions, this record keeps you highly entertained from start to finish. Starting off the record is the bands take on Cedar Walton’s I’m Not So Sure. Kicked off with an aggressively bluesy intro by pianist Gerald Clayton and an authoritative melody, Hargrove fires off a brilliant solo. Great improvisational work is executed by Robinson and Clayton as well. The slightly lighter but equally energetic Brown features another beautiful solo by Hargrove. Supported by a driving straight-eight groove by Montez Coleman and solid bass lines by Danton Boller, the rest of the band glides over this tune with obvious ease. An easy hit to draw from this record would be the funky and laid back Strasbourg/St. Denis. This tune hosts a memorable melody and a simple but beautiful chord progression. Take special note of Gerald Clayton’s solo on this one. With clever syncopation, blues influenced lines and tasteful space, Clayton really creates a powerful musical statement. You won’t be able to listen to this track just once. Joy is Sorrow Unmasked is a beautiful ballad featuring Hargroves true mastery of trumpet tone. With a sensitive and easy going melody, this tune brings a nice contrasts to the tunes proceeding it. The band really takes off with the hard-swinging tune entitled The Stinger. The rhythm section takes care of business and lays down some solid groove, all while creatively interacting with each other and the soloist. Hargrove takes a short but well-stated solo with the mute. Mr. Clean, driven by an open high-hat rock groove, steps it all up a notch. Intense and dissonant chords are provided by Clayton while Hargrove and Robinson take advantage of the situation and stretch out on their solos. Clayton takes authority of the band when it comes his turn and takes the music to unexpected and interesting places. Another beautiful ballad is Divine, definitely worth a listen, followed shortly after by his ballad rendition of the classic tune Speak Low. Bring It On Home To Me appropriately closes off the record. The only live recording on the album, this gospel shuffle shows off Roy Hargrove at his best. “Earfood” is a must have modern jazz record. I couldn’t recommend this one enough! Learn Jazz Standards.com is proud to promote renowned guitarist John Scofield’s 2004 release of “EnRoute”. Joining Scofield for this live trio release is Bill Stewart on drums and Steve Swallow on bass. Recorded at the Blue Note in NYC, this band produces a certain energy that can only be generated from a live setting. Scofield has clearly mastered the art of the trio. This record explores a host of originals such as the up-tempo Travel John, a tune that demonstrates the guitarists virtuosity and command of the instrument. The major focus on this album is swing, and Scofield doesn’t hesitate to visit some of jazz’s most called upon elements. The straight-ahead blues Bag works on its own; a tune saturated with language and a medium swing. Wee is a simple yet effective head over a “rhythm changes” progression. Scofield takes liberties and stretches out from the predictable while the band stays faithful to the roots, allowing for tasteful contrasts. The standard ballad Alfie is a sensitive performance by Scofield, delicately executed and exuding personality. EnRoute is highly suggested. For fans of jazz guitar this is a goldmine. Scofield and his trio appeal to all jazz listeners: those who love the tradition and those who love where it is going. If a musicians goal is share personality with the audience, Scofield did it. Learn Jazz Standards.com is proud to promote pianist Kristjan Randalu and guitarist Ben Monder’s 2012 release of “Equilibrium”. This duo recording hosts a remarkable set list of original music, standards, and free improvisations. The two musicians have a very conversational approach to playing the piano-guitar duo, interaction and responsive playing being the core focus. Randalu and Monder’s unique voices on their instruments come together to create a unified sound. The lyrical piece Stiller Beobachter has a beautiful unison melody and smoothly flowing harmony. Their take on All The Things You Are, begins with a haunting intro from Randalu, followed by a re-harmonization of the classic vamp section. Both take excellent solos on this piece. The free improvisations entitled II, I, and IV all tend to lean to the dark side, creative, and hypnotic. Their frantic rendition of Milestones is full of energy and features a few re-harmonization as well. The reflective original composed by Randalu, Silmast Silma, is beautiful played and enchanting. Equilibrium is an excellent duo record, and is highly recommended. This is communication in music at its finest; a testament to the foundational element of jazz music. Learn Jazz Standards.com is proud to promote renowned pianist Bill Anschell’s 2011 solo piano release of Figments. Recorded alone in his home late at night after gigs, this collection of standards and pop covers exudes the spiritual depth of solitude. Anschell allows the unexpected to happen, succumbing to the spirit of improvisation. The directions of the tunes are spontaneous and honest, a reflection of the soul of their improvisor. While Anschell is well versed and educated in the greats of the piano, his sound is genuinely his own, steeped with rhythmic focus and melodic interaction. Classic standards like Willow Weep For Me, are approached in a new light. You’ll note the left hand and right hand call and response, which Anschell utilizes with beautiful creativity. The take on Joni Mitchell’s Big Yellow Taxi, is made especially unique by a prepared piano. Different household objects are placed inside of the piano to give percussive, rattling, and muted sounds, adding a new color to the palette of this record. His cover of the Eagles classic Desperado is peppered with harmonic alterations and intense feeling, a fascinating rendition of a seasoned tune. Figments brings to a us a dimension of music untainted by predisposed ideas and allows the ear to take a journey through Anschell’s musical world. Genuine, honest, and heartfelt music can be found here. Don’t deprive yourself of it any longer. Learn Jazz Standards.com is proud to promote International Patdown’s brand new 2014 release of First Flight. This dynamic trio features the talents of Houston native Wallace Stelzer on bass, Soo Jin Suh on drums, and Pat Brennan on guitar. The trio formed in New York City during their college days at the City College of New York. First Flight marks their exciting debut release as a trio, and certainly does not disappoint! These three unique individual voices come together remarkably to create a creative, unified musical sentiment. Kicking off the record is the trio’s rendition of Led Zeppelin’s Houses of the Holy. Fronted by a heavy straight-eight rock groove and that classic guitar riff by Brennan, the arrangement leads into a swinging blues form for improvising, with a few twists and turns to keep the piece creatively fresh. Jitterbug Waltz flows gracefully into a gliding medium tempo with an elegant harmonization of the opening phrase by Stelzer and Brennan. Stelzer takes a beautifully melodic solo on this piece. This record is brought to life with astounding energy from tunes like My Heart Stood Still and the John Lewis blues Two Bass Hit, but it’s ballads like My Ideal that showcase the true sensitivity the trio possesses. Brennan molds the melody into an intimately personal experience; the rest of the trio elevates him, driving him forward. Wallace Stelzer’s double bass intro on the old country folk classic Tennessee Waltz is spiritually serene, setting the mood for what turns out to be arguably one of the best pieces on the album. The reserve practiced on this tune brings out all of the colors and flavors it has to offer. The trio’s version of the Rolling Stone’s Angie adds to the great balance among the repertoire. Of course, with such a great trio, you can’t go wrong with the hard swingin’ hit standards You’re My Everything and Stompin’ At The Savoy. For International Patdown’s first flight (pun intended), we have to give this album an overwhelming round of applause. The trio certainly makes a memorable opening statement upon it’s listeners. The diverse scope of musical influence is made apparent here, and this group marks their stamp of unique musical creativity. First Flight is not one to be missed, and comes highly recommended! Learn Jazz Standards.com is proud to promote guitarist Mike Moreno’s 2011 release of “First In Mind” on Criss Cross records. Joining Mike Moreno on this album is pianist Aaron Parks, drummer Kendrick Scott and bassist Matt Brewer. What makes this record especially unique in comparison to Moreno’s other works is that it only features one of his originals, being the title track “First In Mind”. The rest of the tunes are standards or compositions of other artists. The story behind the title track according to Moreno is he decided to compose a tune based off the first several chords he played during a practice session, hence the title “First In Mind”. The real gold for me on this record is the opportunity to hear Moreno’s interpretations of standards like “But Beautiful” and “Airegin” as well as his take on former band mate Joshua Redman’s tune “Soul Dance”. It is really interesting to hear Moreno infuse his musical personality into these tunes. Mike Moreno is a huge force in modern jazz right now and I highly recommend checking him out if you haven’t. I couldn’t recommend this record enough! A must have for lovers of music and jazz. Originally from Houston, Texas, Mike began studying music formally at the Houston High School for the Performing and Visual Arts, a school that is renowned for its musical alumni, which include names as Jason Moran, Robert Glasper, Beyonce, Brian Michael Cox, Eric Harland, Chris Dave, and Kendrick Scott. After graduating High School, Mike quickly moved to New York City to attend the New School University with the highest scholarship the school had ever given to a guitar player. He soon began playing gigs, working his way into the New York Jazz scene. After several years of paying dues with many bands around town, Mike gained the recognition needed to be called to perform and tour with some of the biggest names in the jazz world. The Joshua Redman Elastic Band, Lizz Wright Band, Nicholas Payton Quartet, Me’Shell N’Degeocello, Terence Blanchard Quintet, Greg Osby 4, Wynton Marsalis and the JALC Orchestra,Jeff “Tain” Watts Quintet, Kenny Garrett Quintet, and Ravi Coltrane Quartet. Mike has also toured and performed with the rising stars of today including Jeremy Pelt, John Ellis, Gretchen Parlato, Yosvany Terry, Josh Roseman, Aaron Parks and Leonardo Cioglia. Mike has also recorded with major artists such as Interscope Records’ “Bilal”, and Universal Motown’s “Q-Tip” Rising star Jazz Artists such as Jeremy Pelt, Robert Glasper, John Ellis, Jimmy Greene, Myron Walden, Sam Yahel, Marcus Strickland, Yosvany Terry, Geoff Keezer, Frank Locrasto, Kendrick Scott, Leonardo Cioglia, Louise Setara, and Bob Reynolds . Learn Jazz Standards.com is proud to promote guitarist Lage Lund’s 2013 release of Foolhardy. Joining Lund for his third release on the Criss Cross label is bassist Ben Street, pianist Aaron Parks, and drummer Bill Stewart. Foolhardy consists of a collection of six original compositions and three covers. The guitar has become a highly recognized instrument in the modern jazz scene, and Lage Lund is one of the guitarists to lead the pack. With a clearly original approach and voice, Lund blows us away with his music on Foolhardy. The imaginative Unanswered Call of the Wild unleashes some astonishingly creative solos from pianist Aaron Parks and Lage Lund. The bands take on the standard All Or Nothing At All keeps the flavor of swing in the loop amongst the host of straight eight tunes. Its Lund’s expressive compositions that bring the most spark to the record. Tokyo‘s almost triumphant melody brings the record to an excellent start and leaves high expectations, all of which are met in the songs to follow. Foolhardy’s cast of New York musicians reflect the forefront of the music’s evolution. This is a record highly worth checking out! Lund has brought to us some sincerely satisfying genuine music. Learn Jazz Standards.com is proud to promote renowned pianist Kevin Hays’ 2006 release of “For Heaven’s Sake”. Joining Hays for this trio record is bassist Doug Weiss and drummer Bill Stewart. The band presents a repertoire of standards all with a fresh new language. The trio communicates beautifully together, creating a memorable musical dialogue throughout this album. Tunes such as Sonny Moon For Two, the well worn Sonny Rollins blues, you may not recognize at first. Hays opens up with a loosely played improvisation, leading into a re-harmonized structure before stating the melody. The interaction on this piece demonstrates the close musical relationship the trio shares. However many of the tunes are played without heavy arrangements, allowing for the group to share their approach to these standards. The classic standard It Could Happen To You features a wonderful intro by Hays before breaking out into swing. Beatrice hosts a great intro by Weiss and solos from the whole trio. Beautiful Love swings hard and Lady Day is played with an intimate sensitivity. For fans of the piano trio, For Heaven’s Sake is a must, and for jazz lovers in general I highly recommend it. Kevin Hays is one of the greatest players on the scene and is bringing life to the future of this music. Jazz guitarist Bruce Forman is one of the most burnin’ jazz guitarists on the scene today. Bruce is known as an exciting guitarist with heavy bop sensibilities and phenomenal technique. Bruce has played with various jazz luminaries including Richie Cole, Ray Brown, Freddie Hubbard, Bobby Hutcherson, Joe Henderson, Barney Kessel, Roger Kellaway, and many others. He also leads the unique project Cow Bop, a jazz group with a heavy Western Swing influence. Everyone knows Bruce can bop with the best of them. He also shines when he plays ballads, and even has a deep knowledge of gypsy jazz. This new record also demonstrates a number of new dimensions to his playing I haven’t heard before from his other recordings. Formanism is Bruce’s new guitar trio album, his first trio record since Dedication: Bootleg Vol. 1 was released in 1999. Bruce is joined on Formanism by Gabe Noel on bass and Jake Reed on drums. The term “Formanism” was coined by Bruce to mean “not just another blowing session.” Bruce comes through as promised. I dig the variety on the album. There are of course some bop-influenced charts that are readily associated with Bruce’s mastery of bebop. In this category are tunes such as Underdog and Blue Jake. Underdog is Bruce’s brilliant contrafact over the changes to Lady Be Good. The title track Formanism is a bop de force with lots of doubling between Bruce’s guitar and Gabe’s bass on the melody. Tassajara Turnaround is a nice bop tune with some really tasty 3/4 against 4/4 rhythmic interplay. Blue Jake is strangely a throwback to organ trios of the 1950s and 1960s, which is an interesting vibe coming from a guitar trio. The feeling is a euphoric swingin’ blues that refuses to quit. This track has a great vibe and is just plain fun to listen to! Other tracks offer a nice contrast to the Bruce’s characteristic blazin’ bebop. Bruzette (Spanish) has a unique tango vibe with elements of Django. Flamingo has a vibe similar to the jazz standard Poinciana. In addition, Formanism features a couple tracks I wasn’t expecting coming from Bruce’s bop-influenced guitar. I really enjoyed hearing Bruce’s versatility and artistry on I’ve Told Every Little Star, a tasty, spacious modern ballad. In a similar vein, Sea Sweet is a beautiful, yet distinctly modern ballad. This tune is a fantastic combination of artistic development and pure joy. This ballad really pushes the music forward, and I tip my hat to Bruce for this unique contribution to jazz. If “Formanism” means “not just another blowing session,” then the record delivers exactly what it promises. Bruce Forman’s new record is an artistic statement, and in my opinion it moves the idiom of the guitar trio forward. I highly recommend this album! Learn Jazz Standards.com is proud to promote saxophonist/bassoonist Ben Wendel’s 2012 release of “Frame”. Joining Wendel for this record is a group of phenomenal musicians featuring Gerald Clayton on piano, Tigran Hamasyan on piano, guitarist Nir Felder, Adam Benjamin on piano and Fender Rhodes, Ben Street on bass and Nate Smith on drums. Wendel and the band come together on this unique record to create some deep and truly sincere music. “Frame” is a finely crafted musical statement and certainly a reflection of the modern jazz scene from which it emerges. The true beauty of this record is Wendel’s compositional voice. Each composition is an additional matching piece to solve the puzzle, creating an aura which is consistent. The music presented is not only artistically tasteful but very technically demanding. Take the title track for example, “Frame”. It’s starts with a bouncing bass line and a straight-eight groove, firing quickly into a rapid flurry of notes for the melody. “Chorale” kicks off the record, another beautiful straight-eight tune. Take special note of Nir Felder’s guitar work here, as he joins Wendel beautifully on the head and takes a particularly tasteful solo. Ben Wendel and pianist Gerald Clayton play a great duo rendition of Dizzy Gillespie’s “Con Alma”. Brilliant re-harmonizations are added to this lone standard of the record. On the forward-driving “Jean and Renata,” Wendel takes the opportunity to play trio with Ben Street and Nate Smith. The bassoon comes out on “Backbou”, a rhythmic, rock-influenced tune with the melody doubled by Felder. Tigran Hamasyan takes a fantastic piano solo on this tune. A personal favorite is “Leaving”. The vibe that is stirred up during this song is enough to give you chills. The title of this tune is clearly expressed in the music; an emotional sense of departing. All in all, “Frame” is a modern jazz statement; a piece of art worth reflection. I highly recommend this record to all true lovers of music. Learn Jazz Standards.com is proud to promote renowned guitarist Vic Juris’ 2012 release of “Free Admission”. Joining Juris for this record is his steady working trio featuring Jay Anderson on bass and Anthony Pinciotti on drums. Vic Juris is a masterful trio player and for those familiar with his work you can expect to hear the trio playing at it’s best. The chemistry between the three of these musicians is phenomenal and full of personality. The title speaks a lot for the album as it hosts a variety of tunes in the free jazz idiom, tunes such as Ornette Coleman’s “Congeniality” and Wayne Shorter’s “Dolores”. “Floater” is a haunting tune which explores an open airy atmosphere and a host of ambient sounds. Also included are some of Juris’ originals. “Ocean View” is a beautiful ballad tastefully played by Juris and the gang. One worth mentioning as well is “An Overseas Memory”. Here, Juris demonstrates his incredible abilities as a composer to compliment his beautiful playing. I can’t recommend this record enough! It’s a great choice for any jazz fan; truly worth many listens! If you live in New York City or are visiting soon, be sure to check out the Vic Juris Trio at the 55 bar the first Sunday of every month. Recorded live at the Blue Note in New York City in 2010, Chick Corea’s album with Bill Evan’s rhythm section was released in January of 2012. Chick Corea was joined by bassist Eddie Gomez and drummer Paul Motian for the live dates. The album is a 2 cd set of great music. Sadly, the legendary Paul Motian passed away shortly after the release of the album. Further Explorations was released roughly 50 years after Bill Evan’s landmark album Explorations. Scott LaFaro was Bill Evan’s bassist on Explorations, and Paul Motian played drums. Despite the fact that Chick Corea is playing with a classic Bill Evans rhythm section and plays some Bill Evan’s tunes for Further Explorations, I think that it does the album and the musicians a disservice to think of this album as a tribute album. Inevitable comparisons will be made between this group and Bill Evans, and the album is marketed as “honoring the music of Bill Evans,” but this group goes places no Bill Evans group ever went. Though this album’s has received primarily positive feedback from critics, the album has received some mixed reviews, maybe in part because some expect Chick Corea to imitate Bill Evans in this trio. Bill Evans was a unique force in the history of jazz piano, but so is Chick Corea. Chick should be expected to be Chick, not Bill Evans. He is a phenomenal artist in his own right, and this album is a very enjoyable live glimpse into what these fantastic musicians are capable of today. The piano trio has evolved since Bill Evans seminal work with the genre, and these musicians capture such an incredible of variety of music on this album it is incredible. Further Explorations really captures the evolution that has happened to the piano trio in the past 50 years from Bill Evans to Keith Jarrett, Brad Meldau, and of course Chick Corea. This album is highly entertaining, and it captures a staggering array of sonic possibilities for the genre. I highly recommend this new album, which delivers exactly what it advertises-Further Explorations! Learn Jazz Standards.com is proud to promote the late great drummer Paul Motian’s 2006 release of “Garden of Eden”. Joining Motian is a large and unconventional band of unique musicians. Three guitarists fill the role: Ben Monder, Steve Cardenas, and Jakob Bro. Chris Cheek and Tony Malaby play saxophones and Jerome Harris has the bass slot. This record focuses on the loose and highly dialogue driven style of Motian. Collective improvisation plays a vital role and the band executes with beautiful creativity. The record is kicked off with a few Charles Mingus tunes, Pithecanthropus Erectus and Goodbye Pork Pie Hat. Other jazz composers are featured as well. The band does a great rendition of Charlie Parker’s Cheryl and Thelonious Monk’s Evidence. However, what really makes this Paul Motian album special are the originals, 7 by Motian and one each by Cardenas and Cheek. Mesmer is a tune with a simple theme which is expanded upon and improvised with. The energy and haunting vibe created on this record makes it unique and thrilling. It’s playful, conversational and at moments dark. The spirit of jazz and it’s ability to become personalized, resonates throughout this collection of music. Garden of Eden is highly suggested. Paul Motian is one of the greatest drummers in jazz. With a career span that included working with the Bill Evans trio, to leading his own groups into this modern day, Motian has had a huge impact on this music. Don’t miss out on the experience this record has to offer. Learn Jazz Standards.com is proud to promote the 2002 release of Guilty Live At The Jamboree. This album was recorded live in Barcelona, Spain at it’s Jamboree club during a four night residency. Playing tenor saxophone is Chris Cheek, on bass Ben Street, on piano Ethan Iverson, and on drums Jorge Rossy. All of the tunes are standards except Guilty, a blues by Iverson, but all posses a unique set of creative twists and interpretations. All or Nothing At All takes on a dark and ominous vibe and Autumn Leaves is played with a freedom that allows for a new, fresh perspective. I Remember You is beautifully played. The most enjoyable aspect of this record is the interactions and musical communication the band members share with one another. It’s refreshing to see old standards in a new light, and a whole new set of possibilities revealed. Guilty Live At The Jamboree is certainly worth a listen! I have heard it argued that George Benson is the greatest jazz guitarist around today, though much of his music disguises what he’s truly capable of with his endless jazz guitar chops. Certainly he’s one of the very finest jazz guitarists out there. He’s had a stellar career as a music superstar, guitarist, and vocalist, but make no mistake, G.B. is a BURNING jazz guitarist at his core. He is as talented as they come. Benson’s 2011 album “Guitar Man” has a good variety on it. It has several tracks that really show off his abilities on the jazz guitar (“Tenderly,” My One and Only Love,” and “Naima” for instance). Of course, this album also demonstrates his ability to really groove that has made him so popular with audiences worldwide. George Benson is a music superstar who has transcended jazz audiences to reach out to the larger public. There are many jazz aficionados, myself included, that would love to see a Benson album of just straight-ahead jazz guitar. Many of his earlier jazz recordings were poorly recorded. Unfortunately, we’re unlikely to see an entire album of that nature any time soon from Mr. Benson, but this album has enough straight-ahead material to demonstrate what he is capable of. It’s nice to hear several jazz standards on the album. “Naima” is probably my favorite track on the album. George Benson is a serious threat on the jazz guitar, and this track gives us a 3 minute taste of what he can do when he really goes for it. I’d love to hear an entire album of Benson where he just decides to stretch the envelope and hear what he comes up with. Gilad Hekselman is a phenominal guitarist and we are proud to promote his 2011 release of “Hearts Wide Open”. Since his arrival to New York in 2004, Gilad Hekselman has been earning a reputation as one of the most promising guitarists in New York. In only four years this native Israeli has shared the stage with many top names from the New York jazz scene including Chris Potter, Mark Turner, John Scofield, Anat Cohen, Sam Yahel, Jeff Ballard, Gretchen Parlato, Avishai E. Cohen, Jeff ‘Tain’ Watts, Ari Hoenig, Tigran Hamasyan, Aaron Parks, Greg Hutchinson, Reuben Rogers, François Moutin and Eric McPhearson. He has played the Blue Note, The Jazz Gallery, Smalls, 55 Bar, Dizzy’s Club, Minton’s Playhouse, and toured in Switzerland, Japan, Scotland, Canada, Norway, Hungary, and Israel. He has also played in world famous Jazz festivals such as Montreux JF, Duke Ellington JF, San Francisco JF and Tel Aviv JF. Learn Jazz Standards.com is proud to promote guitarist Lionel Loueke’s 2012 release of “Heritage”. Joining Loueke for this release is Derrick Hodge on electric bass, Mark Guiliana on drums and pianist Robert Glasper. Also featured on this record is the one and only special guest, vocalist Gretchen Parlato. Lionel Loueke delivers again. This time he takes up a very special project, one unique to all of his others. “Heritage” can be described as a musical, spiritual journey. Each tune has been crafted for the band in which Loueke has brought together. This perhaps is one the reasons “Heritage” has such a special sound. It will come at no surprise to current Lionel Loueke fans that this record is jammed packed with incredible rhythmic interplay. In particular, the interplay between drummer Mark Guiliana and Loueke is astounding. What’s also great about this album is the range of styles presented. A very common theme is a funky, dirty sound with heavy back beats, but tunes like “Hope” display a very sensitive side. “Tribal Dance” is a tune that displays enormous passion with a driving forward motion. The combination of Loueke and Parlato’s voice is perfect and of course they are no strangers to each other. Both have had their fair share of working on each others projects. To open the record is a tune called “Ife”, a rhythmic and funky display with bass lines from Hodge that penetrate the soul. Tunes like “Freedom Dance” will cause you to break out in dance or tap your foot uncontrollably. Closing the record is a beautiful tune composed by Robert Glasper called “Bayyinah”. Glasper brings to the table his soulful harmonic style and adds incredible personality to the group. I can’t recommend this record enough! Any music fan will appreciate this one. Lionel Loueke grew up in what he has described as a family of poor intellectuals in the west African country of Benin. He began playing percussion instruments around the age of 9, but was influenced by an older brother who played guitar, which he began playing himself in his late teens. It took Loueke a year to earn the $50 he needed to buy his first guitar. However, he could not afford to replace the strings, which had to be special-ordered from Nigeria. Instead, he soaked his strings in vinegar to keep them clean. When the strings broke, he had to replace them with bicycle brake cables which were very hard on his fingers. Loueke got his first professional job by accident, when a club manager heard him playing a guitar he had grabbed off the bandstand during a break and offered him work. He played African pop music, but discovered jazz when a friend returned from Paris with a copy of an album by jazz guitarist George Benson. This inspired Loueke to study jazz in Paris. He then won a scholarship to study at the Berklee College of Music in Boston. In 2001, Loueke auditioned for the Thelonious Monk Institute of Jazz at the University of Southern California. He was selected in a worldwide search by a panel of judges including jazz musicians Herbie Hancock, Terence Blanchard and Wayne Shorter. He attended the Thelonious Monk Institute of Jazz until 2003. In 2002, while still at the Thelonious Monk Institute, Loueke began playing with trumpeter Blanchard. Loueke was featured on two albums with Blanchard for Blue Note Records, Bounce (2003) and Flow (2005). He subsequently has had a prolific career as a sideman. He has performed on jazz pianist Herbie Hancock’s albums Possibilities (2006) and River: The Joni Letters (2007), and also worked with Kenwood Dennard, George Garzone, Bob Hurst, Alphonso Jonhson, Angelique Kidjo, Dianne Reeves, Cassandra Wilson, Wayne Shorter, Jeff ‘Tain’ Watts, Charlie Haden, Richard Bona, Nathan East, Vinnie Colaiuta, Marcus Miller, Sting, Brian Blade, John Patitucci, Terri Lyne Carrington, Kenny Garrett, Roy Hargrove, Santana, Dennis Chambers, Magos Herrera, and Gretchen Parlato. Learn Jazz Standards.com is proud to promote world-renowned pianist Brad Mehldau’s 2010 release of “Highway Rider”. Mehldau has become a prominent figure in the modern jazz movement, and has established a distinctive interpretation of the piano trio. However, on Highway Rider, Meldhau explores a unique set of original music in which he strays from his norm. Produced by multi-instrumentalist and producer Jon Brion, Highway Rider delves into arrangements involving a full orchestra and features the melodic voice of tenor saxophonist Joshua Redman. This record fully embraces the jazz idiom, however the compositional elements dominate over the improvisational. Melodic pieces such as Don’t Be Sad will appeal to all of Mehldau’s fans and those familiar with his concept. He pays tribute to the great singer/songwriter Elliott Smith in the emphatic piece Sky Turning Grey. The orchestrations are beautiful and perhaps redefine the “jazz and strings” concept. This two-disc set brings its listener through a brilliant musical journey. Creativity guides this music and always takes a set of interesting twists and turns. For fans of the Mehldau trio, I invite you to come and enjoy another perspective. Highway Rider is highly enjoyable! Charlie Austin’s latest album, “Homage,” is a very enjoyable take on the classic piano trio. Canadian jazz pianist Charlie Austin, from Edmonton, AB, is joined by bassist Rene Worst and drummer Mike Gillespie for the project. It is no accident that the album is called “Homage.” The word “homage” is used in two senses. First of all, Mr. Austin pays tribute to the jazz pianists who have come before him, most notably Bill Evans. Second, homage is paid to other people in the gracious Mr. Austin’s life, including students, family, colleagues, etc. The album is a nice mix of standards, jazz originals by Bill Evans, and original compositions by Charlie Austin. The influence of Bill Evans upon the album is both striking and intentional. The repertoire includes several compositions by Bill Evans, including “Bill’s Hit Tune” and “Funkallero.” Even some of the standards on the album, such as “How Great is the Ocean” and “I Hear a Rhapsody,” pay homage to the Bill Evans trio’s classic recordings of those tunes. In my opinion, the influence of Bill Evans, while always present, is the strongest on the second track of the album, Charlie’s original entitled “Take It From Hear,” in which the melody uses some unmistakably “Evans-esque” musical ideas. Not only do I dig the influence of Bill Evans, but I also enjoy the similarities between the music of Charlie Austin’s trio and the various jazz groups I have heard out of Seattle over the years. It seems that the jazz scene of each city or region tends to gravitate toward a particular aesthetic, unique to that particular geographical area. Living in Boise, ID, I have spent a significant amount of time in Seattle over the years. Though Edmonton and Seattle are 14 hours apart by car, I definitely hear a strong connection between Charlie Austin’s latest album and the Seattle cats I’ve seen live and on recordings. It brings back some great memories for me. Just another reason I enjoy this record. In regards to New York City based jazz guitarist Gilad Hekselman, one thing is abundantly clear: he continues to establish himself as one of the most brilliant and creative voices on the scene today. Nothing here comes as a surprise. First bringing him to the spotlight was his 2006 release of “Split Life”, followed by his 2009 “Words Unspoken”, 2011 “Hearts Wide Open”, 2013 “This Just In”, and now his brand new exciting release of “Homes”. Joined by bassist extraordinaire Joe Martin and drummers Marcus Gilmore and Jeff Ballard, Hekselman brings a rare breed of creativity and life to the compositions on Homes. Martin and Gilmore have been a part of his established trio for years now and the chemistry is better than ever. Certainly these sentiments shine through in this music as you get the sense that he is playing from his experiences of traveling the world, seeing new things, and perhaps even the longing to return back to a place of familiarity. Truly this is soul music; music that comes from an area of deep conviction and expression. Verona is a song that feels like it’s moving; gliding forward with a sense of adventurous wonder. Hekselman’s familiarly sensitive touch to the guitar massages the ears and the trio interacts with sincere connection. He takes a beautifully melodic solo on this piece. KeeDee opens with a rhythmic interaction between drummers Marcus Gilmore and Jeff Ballard. The song is delightfully percussive with a heroically uplifting melody. It’s incredible to hear how well Gilmore and Ballard are able to play together and accompany without intruding on the music at hand. The interactions between the musicians are truly masterful. Home E-Minor is an enchanting solo piece featuring a nylon string guitar; incredibly sensitive, haunting and light. Cosmic Patience sounds much like it’s title. It has an atmospheric, electric sound. It gives you an almost drifting sensation with a dream-like quality. Gilad takes a solo with a thick layer of effects before opening up into a clean sound. Samba Em Preludio has a beautifully mournful theme. A sense of longing and melancholy is felt through Hekselman’s phrases and Martin and Gilmore lay a simmering backdrop for him. Parisian Thoroughfare is the lone standard on the album and the trio reveals an exciting perspective on this tune. Hekselman takes a brilliant solo on this one, gliding in and out of changes and soaring over top the rhythm section. Marcus Gilmore takes a memorable drum solo as well. Last Train Home opens up with a octave effect on Hekselman’s guitar with a percussive rhythm driving it forward. Like all of his pieces it has an exceptionally beautiful melody but married perfectly with a strong rhythmic cornerstone. The last short 1:44 second piece Place Like No Home sums up the album perfectly. Homes comes at the highest recommendation. In a world where cookie cutter music is king and art has taken a back seat, Gilad Hekselman and his crew boldly stand up and create music with true sincerity, soul and un-adulterated creativity. Hekselman continues to deliver incredible music every time and it doesn’t look like he’ll be stopping anytime soon. The jazz world will eagerly anticipate all that is to come from Gilad in the coming years. Learn Jazz Standards.com is proud to promote tenor saxophonist Chris Cheek’s 1997 release of “I Wish I Knew”. We are looking a little further back than usual this week to observe the vibrant jazz scene of the 1990’s and the musicians that it produced. Cheek is joined on this record by a now very renowned guitarist, Kurt Rosenwinkel. Rosenwinkel’s sound has evolved over the years and his playing on this release exemplifies his sound during that time. Also joining the group is bassist Chris Higgins and drummer Jorge Rossy, who spent a good deal of time playing in the Brad Mehldau Trio. The beauty of this record is it’s simplicity. The repertoire is made up of a set of jazz standards and covers with minimal arrangements, except for the lone original Garden Floor. It’s great to hear these musicians, whom most are now known well for there original compositions, play over these standards. This quartet brings a very special vibe to this album, and share a great musical connection. This record is highly recommended for any jazz fan and especially for the jazz student. It is important to be looking back at the tradition of jazz and also looking forward. “I Wish I Knew” sheds light on the modern jazz language and its application to the tradition. Learn Jazz Standards.com is proud to promote saxophonist Chad Lefkowitz-Brown’s 2013 release of Imagery Manifesto. Joining him for this debut release is Sam Harris on the piano, Adam O’Farill on the trumpet, Kenneth Salters on drums, and Linda Oh on bass. Lefkowitz-Brown has been a rising star on the New York jazz scene, and this debut release confirms a musical future of promise. Imagery Manifesto is a collection of the tenor players’ original compositions, all of which offer a remarkable set of twists and turns and creative originality. His music is packed full of genuine melody. Take With Bated Breath for example; a tune with a strong sense of direction and groove. Lefkowitz-Brown and O’Farill double the melody, creating a wonderfully commanding impression. The melody’s main theme seems to transpose to different keys, all leading to a brilliant finish of the form. Chad Lefkowitz-Brown’s sound itself shines forth with genuine expression. His lines weave in out of energetic bursts and melodic phrases, continually delivering new sets of ideas. This record travels into a variety of different spaces, a testament to the modern jazz movement and its many musical inspirations. While certain tunes such as Manic Panic hold onto strong senses of groove, others do not hesitate to stray into a more broken feel, or even into the avant-garde. Lefkowitz-Brown plays with incredible sensitivity on the ballad Eastern Flower, a tune with a relaxed and flowing melody. Imagery Manifesto brings forth energy, passion and true musical honesty. It’s a record that is worth many listens. Chad Lefkowitz-Brown has made a stunning impression on his first record, and the next will be truly anticipated. 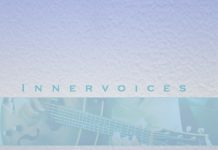 Learn Jazz Standards is proud to promote the 2015 release of guitarist Coyote Anderson’s Innervoices. Joining Anderson for his debut release as a leader is soulful Spanish vocalist Corina Hernandez, Carl Limbacher on electric bass and Diego Maldonado on drums. The Coyote Anderson Quartet is a new modern-jazz group based out of New York City. The group mainly features the compositions of extraodinary guitarist Coyote Anderson who won Honorable Mention in the 2014 ASCAP Young Jazz Composer’s Awards and is a regular member of the BMI Jazz Composer’s Workshop. The Coyote Anderson Quartet has been featured on radio, television and other publications throughout the Tri-State area including WKCR, ABC and CBS News, Good Day NY and The New Yorker. Innervoices brings to the table a spirit of true imagination and creativity. Anderson’s soul seems to have been spilled into these uniquely personal compositions, and he couldn’t have picked a better band to interpret them. Aside from Anderson’s captivating guitar sound, it’s vocalist Corina Hernandez that makes this group distinguishable among others. As apposed to the traditional role of a vocalist of singing lyrics, Hernandez takes the place of a horn player singing melodies and spirited solos. Her voice carries a great deal of passion and soul, perhaps an echo of her cultural roots in Grenada, Espana. The album kicks off appropriately with a twist on a blues called Careless. Anderson takes an excellent solo on this one followed by a melodically passionate solo by Hernandez’s. Probably one of the most fascinating pieces on the record is Revelry, a beautifully flowing tune with an almost nostalgic feeling. Bassist Carl Limbacher takes a refreshing solo to kick off, allowing the piece some nice breathing room. Again Anderson takes a magnificent solo full of imaginative, long flowing lines and fierce creativity. Fast-forward to the ambient and meditative Chorale. The first section of the tune features mostly a reverb saturated, effects driven bass sound from Limbacher, accompanied graciously with cymbal work from Maldonado. Hernandez comes in in the latter half of the piece with a harmonized melody, followed by Anderson’s chord work. It’s haunting and beautiful all at the same time. The title track Innervoices, presents both an ominous and uplifting feeling, which is perhaps what makes the song so impacting. The verses are darkened by an eerie line before leading to a more uplifting chorus. The solo section takes a pleasant turn into a up-tempo swing feel. The Tyger and The Fly brings about a change in Corina Hernandez’s role as she switches to intriguing sets of lyrics: the enchanting poetry of William Blake set to music. Amidst all of the brilliance of the guitar and vocals one cannot forget the distinct drum sound of Diego Maldonado. His humble yet powerful style lifts the entire group up and accompanies each part perfectly. Innervoices is an album that brings back the faith in beautiful and well-crafted compositions. Coyote Anderson and his group have clearly made a brilliant musical statement that all should participate in. Anderson’s guitar work proves just as incredible as his compositions and is certainly one to keep an eye on. I couldn’t recommend this album more. Learn Jazz Standards.com is proud to promote Josiah Boornazian’s 2011 release of “Intersection”. Josiah Boornazian, originally from Los Angeles, is a New York City based alto saxophonist and extraordinary composer. “Intersection” is Boornazian’s debut release, a powerful opening statement to his public contribution to the modern jazz scene. “Intersection” can be best described as a journey through Boornazian’s musical world. Each song flows into the next as if the last one had never ended; a continual set of stories to complete his first chapter. All the musicians joining Boornazian, mostly his friends and fellow colleagues, demonstrate extraordinary musicianship throughout this record, however the most profound aspect of this record is the compositions. Harmonically and rhythmically every tune presents an intriguing set of twists and turns. On “Green Vine, Red Brick, and the Twisted Corridor” you hear multiple small composed phrases repeated by the guitar and piano while another phrase is being layered on top by the horns. This is a common theme portrayed throughout the record, a trademark of Boornazian’s work. “To New York” is an energetic tune, a piece that introduces the album beautifully and promises the listener more to come. “Night Mute” sets a haunting tone to the record and makes fantastic use of free improvisation. The album is marked with short and intriguing free improvisations to introduce the songs to follow. Perhaps the most uplifting tune is “Vibe”, a piece that demonstrates intense compositional passion and Boornazian’s virtuosity on his instrument. The solos are a focus on this tune, reminding the audience that his band can deliver just as much as his compositions can. “Essential Pillars of Illusion’s” dark chordal movements create a brilliantly threatening atmosphere. I can’t recommend this record enough! Josiah Boornazian is certainly a musician to keep your eye on and this record proves his potential. This record is a powerful statement in modern jazz and should definitely be in your collection. Learn Jazz Standards.com is proud to promote bassist Joe Sanders’ 2012 release of “Introducing Joe Sanders”. As the title suggests, this is Sanders premiere record as a leader. Joining him for this release is renowned pianist Luis Perdomo, drummer Rodney Green, alto saxophonist Will Vinson and vocalist Gretchen Parlato. With an exciting band of musicians to back him up, Sanders succeeds at introducing himself more than just exceptionally. For those of you familiar with his sideman work in bands such as the Gerald Clayton Trio and artists like Ambrose Akinmusire, you already know about the Joe Sanders sound. That big fat bass sound, passionate filled notes, melodic lines, sensitivity and an intense sense of rhythm. On this record you can be sure that Joe delivers an honest and true musical statement. The opening tune is entitled “Enigmatically Decided”, a high energy, up-tempo composition with a power house solo delivered by Will Vinson. The take of the classic piece “The Things We Did Last Summer” is astonishingly beautiful and sensitively executed. Sanders takes the melody on Pat Metheny’s composition “Question and Answer” and responds with an authoritative solo. “No Time; Like the Present” is a creative short piece in which Sanders layers multiple different bass parts on top of each other to create a very personal vibe. The record closes with a gorgeous folk-like ballad called “Believe, Beleft, Below” in which Sanders features his arco playing. I can’t recommend this record enough! Joe Sanders is one my favorite bass players on the scene right now and “Introducing Joe Sanders” is definitely worth a listen. Joe Sanders has made a name for himself through his versatility, dedication, and steady pulse. He is without doubt, one of the most sought-after young bass players of his generation. He has played, recorded, and toured with many great musicians, to name a few come to mind Ravi Coltrane, Herbie Hancock, Jimmy Heath, Wayne Shorter, Dave Brubeck, Mulgrew Miller, Geri Allen, Jeff “Tain” Watts, Karriem Riggins, Nicholas Payton, Roy Hargrove, Gerald Clayton (whose album Two-Shade was nominated for a 2010 Grammy®, featuring Sanders), Geoffery Kezzer, Lionel Loueke, Aaron Parks, Chris Potter, Ambrose Akinmusire, Christian Scott, and Taylor Eigsti. Sanders has evolved as a musician first as a student in the finest music programs and currently on the bandstand. He has had many mentors and teachers who have taught him along the way. His first teacher Catherine McGinn is a member of the Milwaukee Symphony Orchestra and guided Sanders throughout middle school and high school, though these were strictly classical lassons this gave him the tools and discipline he would need in the future. In the Fall of 2002, he attended the Dave Brubeck Institute to study under the tutelage of Christian McBride, where he was introduced to master the essentials needed to become an exceptional bass player. After two years with McBride and the many other jazz masters who passed through the Institute, Sanders felt ready to head to New York and put into practice his knowledge and passion. As gigs and jam sessions rolled, Sanders´ name was heard more widely in the city. An opportunity came knocking at his door. A year into being a New Yorker, Sanders was on his way to Los Angeles to attend the prestigious Thelonious Monk Institute, under Artistic Director, Terence Blanchard. While at the Monk Institute, Sanders honed his skills even further and embraced new musical concepts brought on by Blanchard. He was also challenged by others who were brought into the Monk Institute to share their concepts such as; Jason Moran, Benny Golson, Wynton Marsalis, Stephon Harris, and Lewis Nash, to name a few. During this time, Sanders took one-on-one lessons from exceptional bassists who have always inspired him to keep moving forward, they included John Clayton, Bob Hurst, Ron Carter, and Charlie Haden. Upon graduation from the Thelonious Monk Institute Sanders returned to New York City. Recently, he placed 2nd in the finals of both the International Society of Bassists Jazz Bass Competition and the Thelonious Monk Institute´s International Jazz Bass Competition. Currently he leads his own band Joe Sanders´ Infinity in jazz clubs throughout New York City, and tours extensively in Europe and the States with Gerald Clayton Trio. Learn Jazz Standards.com is proud to promote tenor saxophonist John Ellis’ 2012 release of “It’s You I Like”. Joining Ellis for his premiere record on Criss-Cross is some of NYC’s best, guitarist Mike Moreno, pianist Aaron Goldberg, bassist Matt Penman and drummer Rodney Green. This album offers great contrasts of different colors and moods, always keeping it refreshing and interesting. The record is kicked off with a light and cheerful tune entitled “What Do You Do?”. Propelled by a steady swinging groove, here Ellis demonstrates his improvisational command on a great solo. Check out Goldberg’s solo as well. Rooted in the tradition from which their music was born, both artists offer a personal and new approach to the music. The arrangement of Memory Lane, a tune written by the late singer/songwriter Elliot Smith, is one to take special note of. The melody is beautifully played, little hits marked by the rest of the band and Moreno joining briefly in the melody at the end of the form. It is especially enjoyable to hear the musical relationship between Goldberg and Moreno come out on this tune. Both chordal instruments comp beautifully as a duo, never getting in the way of each other. The title track, It’s You I Like, swings hard and fast. Ellis takes an incredible solo, weaving in and out of the chord changes effortlessly. Goldberg follows up with a tasteful solo and hands it off to Rodney Green for a great feature of his own. Things darken slightly on another Elliot Smith tune, Everything Means Nothing To Me. The band plays loosely and freely on this one, offering a great contrast to the songs proceeding it. Moreno and Goldberg take a solo together, handing off lines to one another and dancing around ideas with answering calls and accompanying phrases. You Are Special is a bright and cheerful tune, this time featuring the trio: Ellis, Penman on bass and Green on drums. The interaction displayed on this tune is fantastic to listen to. The musical conversation between the three is refreshing to listen to and opens up some new doors. Penman’s solo on this one is solid and well stated. Once again, Elliot Smith is represented with his melancholic ballad Waltz #1. A great vibe is set up with Moreno’s intro followed by the haunting melody doubled by both Moreno and Ellis. The whole band does a masterful job of capturing the essence of the tune. It’s Such A Good Feeling, composed by Fred Rogers(aka “Mister Rogers”) for his television show, brings yet another refreshing sound to the table. Driven with a shuffle groove by Penman and Green, Ellis takes yet another great solo here. This song easily brings a smile to your face. Closing off the record is of course Fred Rogers’ most well known composition, Won’t You Be My Neighbor. Ellis plays this one solo, demonstrating some incredible music ability and enjoyable musical monologue. “It’s You I Like” is highly recommended to add to your list for listening. Ellis and the gang successfully create some creative and honest music and leave us listening over and over again. This week LearnJazzStandards.com is proud to promote James Farm’s 2011 premier self-entitled release. Formed in 2009, James Farm is an acoustic jazz quartet consisting of saxophonist Joshua Redman, pianist Aaron Parks, bassist Matt Penman, and drummer Eric Harland. 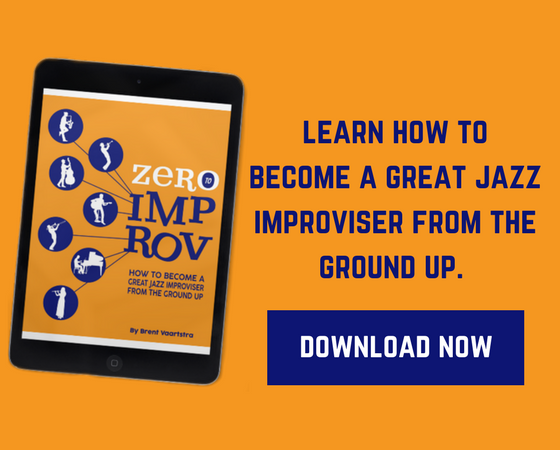 These four free-thinking musicians all individually hold a stake in the future of jazz, and together form a group with a new take on song-based improvisation, a group that invites you to share in the navigation of their own musical future. Learn Jazz Standards.com is proud to promote the 2008 release of “Jazz Side of the Moon”. This record is a collaboration between four musicians who represent some of the modern jazz scenes finest: Ari Hoenig on drums, Mike Moreno on guitar, Sam Yahel on B3 organ, and Seamus Blake on tenor saxophone. As the title suggests, this record revisits and reinterprets the music of the classic Pink Floyd record “Dark Side of the Moon”. This band sheds new light on these classic progressive rock tunes, bringing to the table the spirit of jazz while still maintaining the vibe of the original album. Sam Yahel and Mike Moreno often play hypnotic and repetitive figures, while Hoenig fills in the rest with creative and free-flowing textures. Seamus Blake is the icing on top, expressing the melodies with a new and deep personality, his improvisations rhythmically and melodically tasteful. You don’t need to be a Floyd fan to enjoy this one. Jazzers and music fans alike will enjoy this bands rendition of this classic. Jazz Side of the Moon is highly recommended! Learn Jazz Standards.com is proud to promote renowned harmonica player Yvonnick Prene’s 2013 release of “Jour de Fete”. Joining Prene for his premiere release as a leader is Michael Valeanu and Isaac Darche on guitar, Javi Santiago on piano, Or Bareket and Phil Donkin on bass, Jesse Simpson and Owen Erickson on drums. From Paris, France, Prene has distinguished himself as one of the the most promising harmonicists on the scene. While jazz has produced only an handful of notable harmonica players, the young Yvonnick Prene proves himself worthy of that list with this Steeplechase records release. The music on this record is both beautiful and imaginative. Prene’s playing is full of personality and he demonstrates phenomenal mastery of his instrument. He also distinguishes himself as a accomplished modern jazz composer. Take the title track for example, Jour de Fete. A beautiful piano and bass line starts the tune off and leads into a commanding melody with well placed hits and a fourthy harmonization between Prene and the guitar. Prene’s solo is very expressive and sets him apart as an improvisor. Home is perhaps one of the most memorable on the album. It’s a passionate number; a piece that takes a look into the personality of Prene. A Billion Stars is anchored by a heavy back beat and ornamented with a tastefully simple melody. Sampled pieces of spoken word from science fiction writer Ray Bradbury are layered throughout the tune. Of course Prene pays homage to some of jazz’s greatest influences such as John Coltrane on his composition Satellite. Guitarist Isaac Darche and Yvonnick have a short and well executed musical dialogue to kick off the tune. Solo’s from all instrumentalists are fantastic, and well worth a few listens. The classic standard Never Let Me Go serves as a ballad to the record. Prene’s sensitivity on this tune is stunning and truly captivating. Jour de Fete is highly recommended. It is a deep statement in this current modern jazz scene. Yvonnick Prene has harnessed incredible ability and expression on his instrument, and as a result he has created a record that exemplifies true, deep and heartfelt music. Learn Jazz Standards.com is proud to promote renowned guitarist Lionel Loueke’s 2008 release of “Karibu”. Joining Loueke for this record are his longtime musical collaborators, Ferenc Nemeth on drumms and Massimo Biolcati on bass. Also appearing on several tracks are some of Loueke’s mentors, jazz greats Wayne Shorter and Herbie Hancock. Loueke is one of the most innovative and unique guitarists on the scene today. His music is saturated in his culture. Born in Benin, Africa, Loueke started out playing percussion instruments, but inspired by his older brother switched to the guitar. Rhythm is one of the key elements to his sound; complex at times yet entirely natural in delivery. “Karibu” is a word in Swahili that means “Welcome” in English and Loueke does just that: welcomes you to his musical world. Kicking off the record is the title track, Karibu. The tune is introduced by his clean guitar sound, accompanied by percussive mouth clicks. The interaction between the band is incredibly entertaining. Herbie Hancock and Lionel create some beautiful dialogue on Seven Teens. Hancock takes a brilliant solo and the band plays along well. His rendition of Skylark in 7 is well worth many listens. The music of Africa is heavily portrayed in this arrangement and Loueke’s lines are intensely lyrical. Though clearly stating the harmonic and melodic movements of this Hoagy Carmichael tune, it takes on it’s own original interpretation. Wayne Shorter is featured on the classic John Coltrane ballad Naima. Shorter’s interpretation of the melody is very loose and passionately stated and once again the musical dialogue never fails to be interesting. Benny’s Tune is certainly one of the highlights of the record. It’s a beautiful composition, full of rhythm and tasteful melody. Loueke’s singing with his lines really comes out and gives the melody a special personality. Lionel’s solo on Agbannon Blues is one to pay special attention to. Nonvignon is a tune of pure joy. You can’t listen to this song and not smile. Loueke sings the melody beautifully and lets his solo take the song to different places. Expressing personality and feeling is a goal for all musicians and Lionel Loueke has accomplished just that. His music expresses his experience clearly and he invites us to join. Karibu is a must have in my opinion, I hope you enjoy. To mark the 100th anniversary of Django Reinhardt’s birth, Martin Taylor’s band Spirit of Django reassembled after 15 years to record the 2010 album Last Train to Hauteville. Spirit of Django features Martin Taylor (guitar), Jack Emblow (accordion), Alan Barnes (clarinet and saxophone), John Goldie (guitar), Alison Burns (vocals on a few tracks), Terry Gregory (bass), and James Taylor (drums). Martin Taylor rose to prominence in the 1970s while touring and recording with Django’s violinist Stephane Grappelli. Consequently, he’s more than qualified to lead such a project, and this is one of the most fun records to hit the jazz scene in a long time! I thoroughly enjoyed this album — it’s not merely a tribute album because Spirit of Django takes the influence of Django and creates something new. The group has a fresh take on the Django sound, and they really swing! Music critics, jazz musicians, jazz fans, and even dancers should all thoroughly appreciate this album. Each tune on the album has something to offer, and each track is enjoyable. The title track, Last Train to Hauteville, has a heavy gypsy jazz feel reminiscent of Django’s classic tune Minor Swing. Rue de Dinan has a breezy latin feel. Le Jardin Anglais is a harmonically rich jazz waltz in which the accordion is the dominant comp instrument for much of the piece. Martin Taylor’s brilliance shows throughout the album, and Jack Emblow and Alan Barnes also shine. Terry Gergory and James Taylor are extremely solid throughout, and Alison Burns’ vocals add a nice dimension to this primarily instrumental album. In Double Scotch, the band plays tutti passages throughout every statement of the melody and shout chorus. Double Scotch also contains some very virtuosic, flawless runs by Martin, Jack on the accordion, and Alan on clarinet. Roberta and La Javanaise are the two ballads on the album. Martin’s ballad work is beautiful, and there was something about the timbre of the accordion and mandolin combined with Martin’s melodic virtuosity on Roberta that strangely reminded me of Bird’s album Charlie Parker with Strings. La Mer is a vocal tune known in English as the standard Beyond the Sea. Their treatment of the standard is very danceable, with a light swing feel. Martin states the melody before Alison comes in with the vocal in French. Monsieur Jacques features a highly arranged introduction with an avant garde sound before turning into a hot up-tempo swing track. And swing, it does! Madame Haricot is my favorite tune on the album. The melody and harmony are brilliant, bop influenced, hard-swinging works of art! James Taylor stays on brushes throughout Martin’s solo, and then switches to sticks for Alan’s clarinet solo and Jack’s impressive, sometimes polyphonic accordion solo. This is a wonderful tune, and I’d love to see other jazz musicians start to adopt it and put in their repertoire. I believe this tune has the potential to become a new jazz standard! I highly recommend this album. It puts a smile on my face every time I listen to it! Learn Jazz Standards.com is proud to promote renowned pianist Gerald Clayton’s 2013 release of “Life Forum”. For his third studio release, Clayton is joined by a cast of some of his closest friends and musical colleagues. The innovative sounds of trumpeter Ambrose Akinmusire and saxophonists Dana Stephens and Logan Richardson fill up the horn section. Vocalists Gretchen Parlato and Sachal Vasandani play unique rolls in Clayton’s compositions, focused on doubling horn parts and melodies as well as lyrics. Returning to this record is the two other members of Clayton’s actively working trio, bassist Joe Sanders and drummer Justin Brown. The poetry of Carl Hancock Rux is contributed on the tune A Life Forum, a short piece to kick of the record. While Clayton’s previous releases have been centered around a trio setting, he takes the opportunity to present compositions written for a larger group, exposing a fresh perspective to his music. The thrill of this record is in fact the beautiful and unique compositional voice that Clayton possesses. The haunting melody of Deep Dry Ocean is tastefully doubled by Gretchen Parlato and the piano, with a solid bass line by Sanders to back it up. Dusk Baby is an uplifting tune with a lively harmonic flow. Sachal Vasandani sings a beautiful set of lyrics followed by blues saturated solos. Future Reflection is an energetic piece which sheds light on the astounding chemistry between Clayton and his trio. A clear bond between the three men becomes apparent when hearing these interactions. The two vocalist double a set of lyrics on the radiant ballad When An Angel Sheds A Feather and Gerald’s tasteful accompaniment takes the spotlight. The bop influenced tune Under Madhatter Medicinal Groupon, features Gerald’s creative improvisational work. Life Forum serves as a testimony to the ever evolving modern jazz movement. All of the music presented here is highly enjoyable and I sincerely recommend it. Gerald Clayton has brought us music worth listening to many times over. Learn Jazz Standards.com is proud to promote guitarist Peter Bernstein, B3 organist Larry Goldings and drummer Bill Stewart’s 2011 release of “Live At Smalls”. Those who are familiar with these musicians will know that they are no strangers to each other. This iconic trio has worked together frequently since the 90’s, however this is their very first live recording they have done together as a trio. Of course the venue is Smalls Jazz Club, one of New York City’s most intimate jazz clubs in the heart of the West Village. The band performs a host of great tunes on this one. Opening the record is the Duke Pearson tune “Chant”, one that is familiar to the trio’s repertoire. The blood really gets flowing on “Molto Molto”, a hard-grooving tune saturated with the blues and a catchy melody. Peter Bernstein really shines out on their rendition of the old ballad “Every Time We Say Goodbye”. The sensitivity that the group displays on this tune is astounding. Among original material featured on the record is “Just A Thought” by Peter Bernstein, an easy going and melodic tune. Miles Davis’ “Miles Stones” displays each musicians high level of virtuosity through a barrage of well-crafted solos. “The Danger Zone” brings in the blues, a music that all three musicians are right at home with. As far as organ trio records goes, this is a must have. All three of these musicians are the very best at what they do and bring incredible originality to this setting. Any fan of music can enjoy this one! Learn Jazz Standards is proud to promote New York saxophonist Joel Frahm’s 2011 release Live At Smalls. This is a fantastic record and I had the pleasure of being at Smalls Jazz Club in New York City for both of the nights this record was being recorded. The energy in that club during the live shows was indescribable and this album captures those evenings remarkably. Joining Joel Frahm for this live recording was a power house rhythm sections including Joe Martin on bass, Otis Brown III on drums and guitarist Kurt Rosenwinkel. There is a great mix of originals and very interesting takes on some standards. Joel’s tunes really stand out hosting haunting melodies on tunes such as “Alert”, funk saturated grooves on “What’s Your Beat” and the blues driven number “Short Rack” just to name a few. The standards are certainly not to be overlooked. The creativity on tunes such as “Chelsea Bridge” and the old bebop head “Steeplechase” is astounding. I cant recommend this record enough, it will not disappoint! The Village Vanguard Jazz Orchestra, Kyle Eastwood and many others. Learn Jazz Standards.com is proud to promote renowned guitarist Steve Cardenas’ 2014 release of Melody in a Dream. Joining Cardenas on his fourth release as a leader is Thomas Morgan on bass, and Joey Baron on drums. Trumpeter Shane Endsley joins the trio for several tunes. The magic of Melody in a Dream lies within the expressive story being narrated by the trio. A remarkable conversation, led by Cardenas, unfolds on each piece; the listener is simply eavesdropping. Cardenas has an imaginative approach to his instrument. His lines flow with a unique melodic-ism, sensitive to his musical environment, and daring to play with a captivating, genuine honesty. Just One More Thing is a elusive and meditative. Beautiful dialogues unfold here. Morgan and Baron gently respond to Cardenas’ pleading lines, weaving rhythmic motifs and melodic concepts throughout. New Moon has a great feel. Steve’s solo floats gently on top of the time, and Thomas Morgan’s solo is inventive and thoughtful. Trumpeter Shane Endsley joins the trio for a tune that Cardenas wrote in dedication to drummer Joey Baron, who were once bandmates in one of Joey’s bands. The piece is fused with a rubato and free section, followed by an in-time, bluesy segment. The enchanting ballad Street of Dreams is played beautifully. Cardenas plays the melody with a delicate sort of passion and the band responds appropriately. The guitar solo sings. This is how a ballad should be played. The groups rendition of Horace Silver’s Peace has a great flow, and Thelonious Monk’s tune Teo captures some of Steve Cardenas’ greatest strengths. The piece is bass-less, featuring just guitar and drums. Shane Endsley takes an excellent solo on In The Year of the Dragon. Melody in a Dream is intentionally expressive and creative. Steve Cardenas has once again delivered a phenomenal set of genuine, honest music; music that is personal and soul driven. This one comes highly recommended. Learn Jazz Standards.com is taking time this week to take a look back in the past and recognize the great drummer Max Roach’s 1968 release of “Members Don’t Get Weary”. Joining Roach is Gary Bartz on alto saxophone, Charles Tolliver on trumpet, Jymie Merritt on bass and Stanley Cowell on piano. This record is a must have! Modal music, swing, and funk elements comprise this release. Though Max Roach’s roots come from the be-bop movement he was so deeply apart of, he was very open to modal and avante-garde music. This record is a testament to that. This record is very deep, so take caution, you can only expect to get blown away. Learn Jazz Standards.com is proud to promote pianists Brad Mehldau and Kevin Hays 2011 release of “Modern Music”. This duo record features the incredible composing and arranging of Patrick Zimmerli. Among the repertoire explored on this album are tunes composed by Zimmerli himself as well as tunes by Mehldau, Hays, Ornette Coleman, Phillip Glass and Steve Reich. The relationship of world renowned pianists Brad Mehldau and Kevin Hays began as classmates in high school and has extended into their successful careers. Zimmerli, also a former high school classmate, collaborates with these two musicians to create some moving and soul stirring music that will leave you haunted by it’s beauty. The two pianists weave in and out of each other with intense musical dialogue and virtuosity. It is clear upon listening to this record that Mehldau and Hays share the same passion of the pursuit of musical depth. What is shared here is not ordinary. It is a deep musical connection and understanding. Both Mehldau and Hays perform these pieces with incredible musicality and integrity. As always, the two musicians improvisation and style of playing takes on their own separate identities which complement each other wonderfully. I highly recommend “Modern Music”. Any fan of music and modern piano will certainly enjoy. Learn Jazz Standards.com is proud to support guitarist Peter Bernstein’s 2009 release of “Monk”. Joining Bernstein on this record is drummer Bill Stewart and bassist Doug Weiss. This is a must have record for all of those who enjoy the modern jazz trio and especially for guitar fans and players. This record features a rich repertoire of Thelonius Monk’s music arranged for guitar trio and the results are incredibly entertaining. Bernstein does a magnificent job of portraying the spirit of Monk in this music without overdoing certain “Monkisms”, which can often be the temptation when playing his music. Some tunes featured are “Let’s Cool One”, “Ask Me Now”, “Brilliant Corners”, the beautiful ballad “Ruby My Dear”, and the tune “Reflections” in which Peter let’s the trio rest and plays duo with himself. I can’t recommend this record enough! The interaction of the band, the creative improvisation and Peter’s unique guitar sound are all highly worth checking this one out! Chicago-based jazz saxophonist Greg Fishman’s album “New Journey” is a collection of original music with sparks of imagination. Joining him is his regular Chicago crew, bassist Eric Hochberg, drummer Phil Gratteau, and pianist Dennis Luxion. The group comes together as a cohesive sound; truly a band of musicians with a genuine history with each other. Fishman wrote most of the tunes while on tour in Bangkok, Japan, and Singapore. His passions for straight ahead jazz and Brazilian music are evident in his compositions, which all come with their own unique flavor. Fishman’s playing is rich and melodic, truly a saxophonist worth exploring if one is not familiar. The album kicks off with an uplifting blues entitled Champagne Jane. 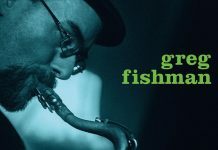 Fishman takes the exact kind of solo you wanted to hear: saturated in blues yet weaving through the progression with effortless melodic-ism. The title for his tune Dahlia came about in an unlikely fashion. Fishman notes that he was premiering the song at a jazz club before he had come up with a title. When the tune was over, a woman in the crowd said “That’s beautiful! What’s the name of the song?”. After explaining that there was no title yet, she said “Call it Dahlia. That’s my name. I’m from Texas.” The tune features a solid, dance-able groove and a host of fantastic solos. The jazz waltz Floating Down has some beautiful harmonic movement throughout. The first handful of bars seem almost reminiscent of Coltrane’s “Naima”. Fishman’s lyrical playing sets up a beautiful melody, diving into a great solo. Bassist Eric Hochberg’s solo has a particular beauty to it. Fishman explains that the title track, New Journey, is representative of the positive, uplifting energy he gets when he starts a tour in a new city. It’s a song that exudes adventure and the spirit of jazz itself. Boppertunity is a tune that describes itself in a way. With a text-book bebop melody and sprinting uptempo swing, the band indulges in some ripping virtuostic solos. Beboppers rejoice! The Ninth Degree features a driving bossa groove with a beautiful set of chord changes. Constellations opens up with a rubato, floating feel, as Fishman blows liberally on a set of lush chords. The tune then transitions into a galloping swing groove for the head. Luxion takes a lyrical solo over this piece, followed by another spot-on solo by Fishman. New Journey is the kind of album that satisfies all of the cravings. It’s an album that all jazz fans will want to hear. Each composition has a sense of familiarity combined with a very personal touch. Greg Fishman really nails it with this one. If you’re looking for your next jazz fix…look no further. Tom Harrell is a fantastic post-bop trumpet player, one of the best around. His May 2012 album “Number Five” is a thrilling mix of standards and originals. The album features Wayne Escoffery on tenor sax, Danny Grissett on piano and fender rhodes, Ugonna Okewego on bass, and the stellar Johnathan Blake on drums, who really shines throughout the album. The album opens up with a drums/trumpet duo reminiscent of John Coltrane and Elvin Jones, only with a trumpet instead of tenor sax. The duo sets the tone for the albums explorations. This is not a straight-ahead bebop album, but rather a celebration of modern jazz music; Tom Harrell’s group is based in tradition, yet always pushes the envelope. Some of the best moments of the album were the two solo trumpet tracks, “Star Eyes” and “A Blue Time.” Playing solo trumpet for a whole song is a gutsy move because of how naked the monophonic trumpet is with no accompaniment, but Tom Harrell keeps it fresh. It turns out that Tom Harrell doesn’t really need accompaniment, and his solo tracks are some of the most rewarding moments on the whole album. Great work from Mr. Harrell! Learn Jazz Standards.com is proud to promote French guitarist Romain Pilon’s brand new trio record NY3. I can’t recommend this album enough. Pilon’s brilliance as a guitarist and composer is uniquely expressive making him a guitarist you will want to be aware of. Joining him on his first trio record as a leader is Matt Brewer on bass and Collin Stranahan on drums. “This is a beautiful Cd from one of the best guitarists on the scene today ! Learn Jazz Standards.com is proud to promote Brad Mehldau’s 2012 release of “Ode”. This is his most recent trio record out to date. For those of you who are not familiar with the Brad Mehldau trio I highly encourage you to start checking out this group. In my opinion this trio is one of tightest and most innovative groups in jazz today. The group features Larry Grenadier on bass and Jeff Ballard on drums, two individuals that Mehldau has faithfully hired as his rhythm section for years. Something that is a little bit different about this record in comparison to his other trio works is the fact that it features his original works exclusively. All of the tunes were written to pay homage to people or things in Mehldau’s life that had a personal affect on him, hence the title “Ode”. “Kurt Vibe” pays respect to his contemporary, guitarist Kurt Rosenwinkel. “Aquaman” is homage to one of his favorite comic book heroes just to give a few examples. I can’t recommend this record enough! This band’s creative energy astonishes me every time and it definitely will not disappoint! Learn Jazz Standards.com is proud to promote bassist Andrea Veneziani’s 2012 release of “Oltreoceano”. Joining Veneziani for his debut record is renowned pianist Kenny Werner and drummer Ross Pederson. Oltreoceano (“Overseas”), is a journey of sorts; a glance into the musical visions of Veneziani and his offerings. The music presented on this trio record blends a mix of well-played musical interaction and creative interpretations. Perhaps what makes this album so interesting to listen to, is the vibe that Veneziani and the band establish and carryout throughout the whole piece. Kicking of the record is the first of a series of free improvisations entitled “Free Episode #1”. Started by a mellow drone by Veneziani, Werner and Pederson decorate the rest with spacious harmony and small fills, setting the mood for the pieces to proceed it. The enchanting waltz entitled “Night Flight”, is an original piece inspired by Veneziani’s travels. Werner plays the melody tastefully, followed by an excellent solo. Veneziani takes a beautiful solo here as well. The trios take on Charlie Parker’s “Segment” takes things up a notch for some hard-swinging and energetic musical dialogue. The melody is stated by all three instrumentalists and explodes into a fiery solo by Werner. Werner displays incredible improvisational power and rhythmic creativity, his solo continually veering on and off the path. Veneziani answers back with a bold statement of his own. His command of the jazz language shines out here with confident weaving lines and driving chromatic passages. Take note of the great work by Pederson on his trading fours. “Time Remembered”, a Bill Evans tune, allows the band to expand on their interactions. The interplay between all of the musicians here is effortless and well-played. Werner’s solo is certainly the highlight, taking the trio into some interesting directions. “Traffico” keeps the record moving with an exciting melody written by Veneziani, leaving the rest of the form up to free improvisation. Once again the trio interacts beautifully and keeps things fresh and creative. Werner opens up with a solo intro on Thelonious Monk’s “Pannonica”, and Veneziani takes the melody. Veneziani takes a great solo here, handing the baton to Werner who takes a great solo himself before trading with Pederson. To close the record, the trio plays a beautiful tune by Veneziani entitled, “In Viaggo con Te”, also inspired by his travels. This tune has an absolutely gorgeous melody, flowing calmly over the harmony and creating a nice contrast from the tunes proceeding it. Once again, the musical interaction and dialogue between the trio takes center stage. Oltreoceano is the type of record that will keep you interested from start to finish. Veneziani does a wonderful job of providing contrast and excitment in his repertoire. His trio features some of the modern jazz scenes finest, making this record one certainly not to disappoint. Veneziani and the gang have accomplished what all musicians hope to share with their audience: creative, honest and genuine music. Learn Jazz Standards.com is proud to promote renowned guitarist Steve Cardenas’ 2004 release of Panoramic. Joining Cardenas for this powerhouse quartet release is Tony Malaby on tenor saxophone, Larry Grenadier on bass, and Kenny Wollesen on drums. Panoramic is a collection of Cardenas’ beautifully inspired originals and arranged covers. The funk infused version of Charlie Parker’s Visa kicks off the record, introducing the beautiful and poetic sound of Cardenas. His groove and emphasis on rhythm immediately set him apart and play key roles in his original voice. Pieces such as Sight reflect the scene in New York from which he has grown a name for himself. Beautiful harmonic twists and spiraling lines in this tune credit him as a phenomenal composer and improviser. Cardenas’ avid study of Thelonious Monk’s compositions is apparent on Introspection, a tune which features just the trio. The almost pop-like ballad D. Marie boasts a gorgeous melody and unveils more colors in the guitarists palette. Malaby’s instrumental voice accompanies Cardenas well, allowing for a special vibe throughout the record. Panoramic is an excellent choice for all jazz fans. The music Steve Cardenas has written on this is well worth many listens and is highly entertaining. A must listen! Learn Jazz Standards.com is proud to promote internationally renowned guitarist Pat Metheny’s 2012 release of Unity Band. Joining Metheny for this quartet release is saxophonist Chris Potter, bassist Ben Williams, and on drums Antonio Sanchez. Metheny is no stranger to these acclaimed musicians. Antonio Sanchez has been one of Metheny’s most called upon drummers, and Potter has collaborated with the guitarist as well. The younger up and coming bassist Ben Williams, proves that he is more than deserving to claim his spot in the group. The repertoire hosts beautifully composed tunes with catchy melodies and distinct personalities. Doubled melodies by Metheny and Potter drive the tunes to epic levels, and the solo’s performed by these two musicians demonstrate their powerfully unique voices on their instruments. Metheny gives us a taste of all of his sounds including his acoustic guitar playing featured on New Year and Come and See. His notably distinct guitar synth is featured on tunes such as the highly energetic Roof Dogs. Leaving Town has a memorable and melodic melody, with some excellent solos by Metheny and Potter. The anthem-like piece Then and Now is gorgeously played, with some beautifully flowing harmony and another lyrical melody. Metheny’s guitar playing unleashes all of its fury on the frantic tune Breakdealer. This debut record of Pat Metheny’s Unity Band is an incredible testimony to the current condition of jazz music. It’s alive and well, still vibrant, and still evolving. This is a record you really shouldn’t miss out on! earn Jazz Standards.com is proud to promote organist Larry Goldings, guitarist Peter Bernstein, and drummer Bill Stewart’s 2014 release of Ramshackle Serenade. With a history of musical collaboration spanning over 25 years, this iconic trio has once again come together to create a profoundly genuine, personal, and creative record. Some of their work together includes Goldings’ 1991 release of The Intimacy of the Blues, Bernstein’s 1997 Earth Tones, and the trio’s 2011 Live At Smalls. Ramshackle Serenade reflects on where they have been together and where they have arrived now. The result is a musical connection of the highest level; decades of friendship and countless hours of music melding into one unified sound. Kicking off the record is Roach, a blues is 5/4. Short solos from Bernstein and Goldings give out a small sample of what good lies ahead. Their hauntingly beautiful rendition of Antonio Carlos Jobim’s Luiza allows for a seductive melody played by Bernstein. The trio consents to climactic peaks during both solos. Simple As That was recorded on Bernstein’s 2002 release of Heart’s Content, but adapted to organ trio, the tune is given a renewed energy. As a common theme throughout this record, the solo’s are always unbelievably lyrical. The title track, Ramshackle Serenade, has a loose, free flowing melody. The tune reflects its definition: Ramshackle meaning “in a state of disrepair”. The piece creates a nice contrast with its surrounding repertoire. Mr. Meagles lets loose the shear power the trio possess. Infused with blues and heavy groove, the musicians unleash an authoritative melody and gut-wrenching solos. Stewart’s drum work is astounding as always, taking an excellent solo on the vamp before the melody out. The trio appropriately plays a few standards, Sweet and Lovely and Horace Silver’s ballad Peace. Bill Stewart takes a great solo out of the tune Blue Sway. The hard-swinging composition Useless Metaphor hosts some great solos by Bernstein and Goldings as well. Ramshackle Serenade is well worth many listens! Larry Goldings, Bill Stewart, and Peter Bernstein have once again documented just how good this music can get. If you are looking for some of the best jazz has to offer today, look no further. Learn Jazz Standards.com is proud to promote saxophonists Seamus Blake and Chris Cheek’s 2013 release of Reeds Ramble. Joining the two tenor masters is Ethan Iverson on piano, Matt Penman on bass, and Jochen Rueckert on drums. This record is a beautiful display of these two musicians close musical connection. It’s not often that two saxophonists share the spotlight, but for Seamus Blake and Chris Cheek this recording demonstrates a perfect chemistry between two different sounds. The combination is unified, and personal; sharing the same sentiments. The remarkable nature of this powerhouse duo is the meeting of their personalities. Cheeks sound: lighter, more air, weaving melodically through the changes, and Blakes: commanding, melodically passionate, and intense. Chico Buarque’s No Carreira sings. A beautifully collaborated melody leads into a gorgeous solo by Cheek followed by an equally remarkable one by Blake. The slightly mysterious Holodeck Waltz takes a different turn into a more modern harmony and arrangement, Cheek switching to soprano to compliment Blake. Blue Moose is that drunken kind of blues, slow and swinging, with no tricks. De Dah is easily explained by the melody; the “de dah” sound immediately recognized. Blake and Cheek play some excellent solos here, not to forget Iverson’s incredibly artistic improvisation as well. Seamus Blake’s composition All About Me is a tribute to the “Facebook Generation” as he puts it. Iverson takes a tastefully melodic solo on this one. Reeds Ramble is a record not worth missing. The sounds of these saxophone masters compliment each other unbelievably. These are two of the best saxophonists on the scene today, and this record confirms it. Learn Jazz Standards.com is proud to promote Brian Blade and the Fellowship Band’s 2008 release of “Season Of Changes”. The fellowship includes: Jon Cowherd on piano/keys, Kurt Rosenwinkel on guitar, Myron Walden on alto sax and bass clarinet, Melivn Butler on tenor saxophone, Chris Thomas on bass, and of course Brian Blade on drums. Blade’s second release with the Fellowship Band speaks volumes to the musicianship of its members, but more important are the compositions that define the groups sound. Blade does not hesitate to present simple song forms and grooves, even allowing improvisation to take a back seat at times. This is what makes this record so remarkable; the fact that a band can groove as one, play off of each other, and create genuine expression. Season Of Changes has a strong vibe attached to it. Take Stoner Hill for example, a simple two section form with a gliding back-beat. The tunes make statements. Cowherd’s Return of the Prodigal Son brings forth a strong melody doubled by the horns and guitar. Blade’s drumming is loose and and passionate, full of expression. The soaring lines of Rosenwinkel guide the band down a winding and adventurous road. The reflective Most Precious One merges into Most Precious One(Prodigy), continuing off from one another. Season Of Changes is a powerful record, and a huge musical statement. Blade has successfully put together a band that breathes together and creates music from one heart. This one is highly recommended to all music fans! Learn Jazz Standards is proud to promote trombonist, alto flugelhornist, and composer Scott Reeves’ 2009 release of Shape Shifter: Live at Cecil’s. Joining Reeves for this quintet release is Rich Perry on tenor saxophone, Jim Ridl on piano, Mike McGuirk on bass, and Andy Watson on drums. Shape Shifter is a collection of Reeves’ compositions, steeped with a wide range of jazz influence. Musical dialogue is the driving force behind this band; a liberal, conversational interaction between the members establishes a potent vibe. Each individual instrumentalist is striking in their own right, having established a reputation of creative virtuosity. As a collective, this group shines and brings forth genuine and emotional musical feeling. Shape Shifter explores elements of the hardbop quintet but does not hesitate to visit the avant-garde. To kick off the record is the ominous melody of its title track, Shape Shifter. The harmony is haunting, and its phrasing at times broken. Rich Perry takes a beautiful solo on this one, followed by an equally stunning improvisation by Scott Reeves. The funk gets unleashed on The Alchemist, a piece with a tight groove and beautifully doubled trombone and tenor sax head. The Soulful Mr. Williams sings. The harmony is brilliant and flowing, the band’s groove reminiscent of Trane’s later quartet work. The piece has a natural swing and a set of tasteful solos during the blowing. The rhythms of Brazil are represented on Pedacinho do Brazil. The hauntingly beautiful ballad Incandescence brings a different color to the palette. The ballad has a sense of peaceful disturbance; threatening but comfortably relaxed. Shape Shifter is a brilliant statement in modern jazz composition. It’s a record with exciting twists and turns; surprises await around every corner. Scott Reeves has successfully delivered honest and genuine music through the interpretation of his quintet. This is certainly one record you need to check out. Learn Jazz Standards.com is proud to promote renowned guitarist Peter Bernstein’s 2013 release of Solo Live at Smalls. Smalls, the established jazz club in the heart of the West Village in New York City, has been home to the sound’s of Bernstein’s guitar for years; but it has only been a handful of them that he has played solo guitar at the early sets at Smalls. Bernstein is no stranger to the New York jazz scene, and there is no doubt that he has established a reputation as one of the most influential jazz musicians of his generation. Having played in groups led by players such as Lou Donaldson, Dr. Lonnie Smith, Jimmy Cobb, Larry Goldings, and Joshua Redman to name a few, Peter has left a huge mark in the jazz guitar community. Solo guitar has been a newer front for the guitarist, according to him, however his mastery of the instrument makes it seem like hes been doing these gigs for decades. Different from other guitarists known for their solo work, Bernstein stays true to his sound and emphasizes melody, using only his pick as apposed to fingers. His attack is commanding, strong, energetic, and passionate. This solo record is highly worth listening to. Bernstein’s approach is creative and fresh, never lacking movement and direction. The spirit of the moment is captured on this collection of standards and covers; honest and genuine music is delivered from Peter Bernstein yet again. We haven’t promoted new jazz albums on the LJS Blog for a few months now, but we are bringing back our jazz album reviews! It is vitally important that jazz lovers continue to support current jazz artists so the music can continue to thrive. Support new releases with your dollars and encourage jazz artists to keep producing new music! Our “Album of the Month” is called Songs from Oak Avenue by Georgia-based guitarist Trey Wright. This is a brand new album from Blue Canoe Records out of Atlanta, which has been producing jazz albums since 2003. One of the perks to having a jazz website/blog with a big following is that I sometimes get cool opportunities to do things like review albums, and sometimes I get new albums sent to me for free! I’m under no obligation to promote anything, which allows me to be honest. If I like a new release, I’ll tell people about it! I’d like to publicly thank Blue Canoe Records for sending me this great album! Before hearing this brand new album, I was unfamiliar with Trey Wright’s music. I was very pleasantly surprised right off the bat with the first track, Boomerang. The band comes out swinging hard, reminiscent of some of the hard bop in the 60s! I continued to enjoy every track that I heard on the album, comprised of 9 of Trey Wright’s originals. The sound of the group changed to a more modern approach for much of the album after the first track. I appreciate the way they demonstrate their love for the jazz tradition while continuing to build on it. The band keeps the spirit of the tradition, paying homage without regurgitating old material. The arrangements and the original tunes are all fresh. Modern jazz can be a delicate balance between artistry and listenability, and some groups fail to deliver both. Trey Wright’s group’s unique take on modern jazz is both artistic and listenable. Each of Trey’s original compositions has its own sound while still keeping a cohesive sound for the album. Trey uses both an acoustic guitar and an electric jazz box on the album, tending to choose the jazz box for more traditional sounding originals and the acoustic for a more modern sound. Trey’s talented side men add a great deal to the album. Saxophonists Sam Skelton and Mace Hibbard are inspiring, and bassist Marc Miller does a great job of holding it down on the low end. The supremely-talented Marlon Patton is the lynchpin of this band’s sound. Not only is Marlon an incredible drummer, but he also did all of the tracking, mixing, and mastering as the album’s audio engineer. He’s an extremely gifted drummer, and his skills as an engineer are just as good. Wow! I’ve listened to this album several times now out of the pure enjoyment, and I highly recommend it. The album has a great vibe! I want to offer my congratulations to Trey Wright, Marlon Patton, Marc Miller, Mace Hibbard, Sam Skelton, and Blue Canoe Records for making a great record! I will continue to listen to this enjoyable album. Learn Jazz Standards.com is proud to promote renowned pianist Benny Green’s 2011 release of “Source”. For this trio recording, Green is joined by drummer Kenny Washington and bassist Peter Washington. For those familiar with Benny Greens work, you will know that he swings harder than anybody, and for this one he will not disappoint. This record embodies high energy swing at its finest and Green’s mastery at this art is astounding. Of course it’s also his mastery on the piano that will once again blow you away on this record. Green’s outstanding technique, taste and artistry coupled with creative interaction with his accompanists, creates his dynamic sound. Tunes like “Little T” bring Benny’s authentic understanding of the jazz language to the spotlight. Get ready for some hard driving swing on “Blue Minor”, lighting fast melodic lines on Bud Powell’s “Tempus Fugit”, and sensitive, tasteful takes on ballads like “I Waited For You”. A personal favorite is “Chant”, a hard swinging bluesy minor tune with some incredible work done by the whole rhythm section. I can’t recommend this record enough! It certainly is one to be enjoyed by any music fan. 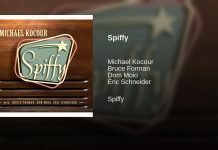 “Spiffy” is a brand new album from Phoenix jazz pianist/organist Michael Kocour. Kocour is the Director of the Jazz Studies program at Arizona State University. He was quite gracious to send me a couple copies of his new CD. I had high expectations for the new album, and the band surpassed my already-high expectations with their fat groove, deliciously swingin’ blues and bop lines, and TIGHT arrangements. Kocour’s new album, his tip-of-the-hat to Jack McDuff, features some formidable sidemen from all over the United States. Also a very accomplished pianist, Kocour plays a Hammond organ for the whole album, kicking bass with his feet and left hand. Kocour is joined by Phoenix-based drummer Dom Moio, Chicago-based saxophonist Eric Schneider, and the incomparable LA guitarist Bruce Forman, a friend and mentor of mine whose teachings, in all honesty, inspired this very website, LearnJazzStandards.com. Needless to say, I was very excited to hear the new project! If you dig hard-swingin’ groups or if you dig the jazz organ tradition, you’ll want to check out this record! The tunes are a mix of originals from Kocour, Forman, and Schneider, with a couple of favorite standards. It’s very evident right off the bat with Kocour’s “Dropped Third Strike” that a lot of thought was put into the arrangements. It’s the little things – background figures, shout choruses, interludes – that make for some refreshing arrangements that really characterize this album. “Da Good Stuff” is Eric Schneider’s blues, straight out of the Jimmy Smith/Jack McDuff organ tradition. How ‘Bout Those Shoes? Spiffy! The two standards on the album are “Tenderly,” a nice walking ballad, and Neal Hefti’s “Girl Talk.” Tenderly has some fantastic texture changes where Mike Kocour pulls out all the stops – quite literally – for some tasty accents that really make the arrangement light up! Kocour wrote some nice contrafacts (tunes based on the chord changes from other standard tunes) for the album. The aptly-named “Chunky” has a bluesy two-beat feel with an infectious lilt. The tune has a nice groove, and some great changes – it’s a contrafact over the changes to “Limehouse Blues.” “Huffinpuffin” is a nice downtempo contrafact over the changes to “Cherokee.” The band “goes upstairs” for the solo section, erupting into an uptempo swing. The title track, “Spiffy,” bears some harmonic similarities to the classic standard, “I Can’t Give You Anything But Love,” though it is not an exact contrafact. This album is a lot of fun, with some great playing by the whole band. Great tunes, great band, great arrangements. Bravo, Dr. Kocour! To learn more about the artist or to purchase the album, follow the link’s at the artist’s website: http://www.michaelkocour.com. Learn Jazz Standards.com is proud to promote world-renowned guitarist Kurt Rosenwinkel’s 2012 release of “Star Of Jupiter”. Joining Rosenwinkel for this quartet release is pianist Aaron Parks, bassist Eric Revis and drummer Justin Faulkner. This is Kurt’s first quartet recording since his 2001 release of “The Next Step”. Following a week long engagement at the Village Vanguard in New York City, the quartet headed upstate New York to record this two disc record. Once again Rosenwinkel has stepped out to pioneer new paths for the modern jazz movement, and this record demonstrates just that. This release features all original material, all new except for “A Shifting Design” which was previously recorded on “The Next Step”. The beauty of this record is that it stays true to a concept, a vibe, yet stylistically is versatile. Rosenwinkel’s influence from the bebop era is notably featured with hard swinging tunes such as “Homage A’Mitch”, a tribute to a past owner of the NYC jazz club, Smalls. Opening the album is “Gamma Band”, a heavy driving tune in which Rosenwinkel uses a magnificent display of effects and great compositional style. As always, Kurt continues to write tunes with beautiful melodies such as “Welcome Home” and the ballad “Under It All”. One tune worthy of special mention is “Heavenly Bodies”, an enchanting tune in 3/4. The piece creates a very atmospheric vibe with a very memorable melody. The band vamps out for almost half the length of the actual tune. “Spirit Kiss” is a passionate statement by Rosenwinkel. As common to his sound, his voice is mixed in heavily with his guitar sound. The title track “Star Of Jupiter” is a high-energy tune with magnificent displays of improvisation from Aaron parks on rhoads and Kurt. If you’re a fan of jazz and where it’s going, this is a must have! I would highly recommend this one. Kurt and the gang have once again delivered deep, honest and sincere music. Learn Jazz Standards.com is proud to promote bassist Linda Oh’s 2013 release of Sun Pictures. Joining Oh for this quartet release is guitarist James Muller, saxophonist Ben Wendel, and drummer Ted Poor. Born in Malaysia and raised in Perth, Australia, Linda Oh’s music has earned her a reputation of being one of the best bassists on the scene today. Her third release as a leader, Sun Pictures is a collection of her brilliantly creative original music. Full of different textures, expressions, and a distinct palette of sounds, these compositions are brought to life by her cutting-edge band of friends and fellow musicians. The meditative composition Shutterspeed Dreams, has a hypnotic vibe, complete with looped guitar phrases, and a heavy groove laid down by Oh. It’s tunes like Polyphonic HMI, that display the shear virtuosity of all of the band members. The trading solo’s between Ben Wendel and James Muller create an intriguing dialogue. The subtly fierce groove on Footfall, allows for some incredibly interesting solo’s, supported by Oh and Poor’s graceful interactions. Perhaps a highlight of the record is the piece Blue Over Gold; memorable and strong, with extraordinary musicianship from the rhythm section and gut wrenching improvisation. Oh takes a fantastic solo on the enchantingly beautiful tune Terminal 3. Sun Pictures is a vehicle of self-expression. Linda Oh has poured out her soul into these compositions and as a result has created an incredible record. If you aren’t familiar with Linda’s work, consider this your warm introduction. Learn Jazz Standards.com is proud to promote guitarist Graham Dechter’s 2012 release of “Takin’ It There”. Joining Dechter for his second release as a leader is renowned bassist John Clayton, pianist Tamir Hendelman and drummer Jeff Hamilton. These four musicians are certainly not strangers to each other. All appeared on Dechter’s premiere record “Right On Time” and have worked together extensively in and out of the Clayton Hamilton Jazz Orchestra. Graham Dechter set a high standard with his previous album, but “Takin’ It There” easily surpasses it with renewed energy and creativity. Dechter brings back the swing that is so evidently married to his playing with full force, and his rhythm section has his back. Featured compositions on this recording range from well known standards, Dechter originals and pieces written by some of his contemporaries. Opening the record is “Road Song”, a beautifully arranged piece with a driving octave melody and blues driven solos. “Bee Deedle Dee Do” is a swinging medium blues demonstrating Dechter’s close relationship to this style. The arrangement of “Chega de Saudade(No More Blues)” is probably the most unique on the record. With beautiful piano work from Tamir Hendelman, a great rhythm section groove and great sounds from Graham, this is easily one of the highlights of the record. His arrangement of Lee Morgan’s “Hocus Pocus” highlights some incredible improvisational talent from the whole band. 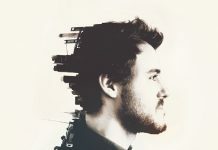 Dechter offers some soulful attitude on old standards such as “Come Rain or Come Shine”. Graham Dechter delivers once again with Takin It There. Dechter’s style is honest and genuine, leaving us wondering: If this is what he’s got now, whats coming next? I highly suggest getting a copy of this record. All music fans can appreciate this one! Learn Jazz Standards.com is proud to promote Hammond B3 organist Dr. Lonnie Smith’s 2009 release of “The Art of Organizing.” Joining him on this trio release is the acclaimed guitarist Peter Bernstein, and drumming extraordinaire Billy Drummond. The record swings hard and glides through a musical journey of blues and melodic dialogue. The connection between these three musicians is steeped in the tradition of jazz and bound by a commitment of conversational interaction. The record opens up with the hard-swinging yet light and playful When We Kissed At Night. Lonnie Smith executes the melody with delicate taste, and then hands it off to Bernstein who finishes it off with sincere expression. Bernstein’s solo dances around the melody; an emphasis placed on melodic direction and the occasional blues derived line to drive the point home. Lonnie’s solo starts with rhythmic stabs and short interjections, evolving into a soulful and energetic B3 blues oriented improvisation. This record explores classic pieces such as Charlie Parker’s jovial tune My Little Suede Shoes, the beautiful ballad Polka Dots and Moonbeams, and the jam session favorite Softly As In A Morning Sunrise. The band simmers on Too Damn Hot a composition with blues and tonal harmony, with a series of excellent solos. The Art of Organizing is for the jazz lover; for those who love to swing and love groove, but its nature makes it impossible not to please any listener. This one is not worth missing. I must confess that I have a bias toward small group jazz. However, every now and again I’ll hear a big band album that really speaks to me. In my opinion, the Christian McBride big band and the Clayton-Hamilton Jazz Orchestra are the two groups that best carry the tradition of the great big bands to the next generation. Christian McBride has been known as an exceptional bass player since coming onto the scene in the early 90s, but he’s also come into his own as an arranger. The Good Feeling is a nice mix of standards and originals, all of them arranged by McBride. The album is pure swing, out of the tradition of Duke Ellington, Count Basie, and Stan Kenton. However, the flavor is distinctly McBride. I’ve never heard a big band that features as many tasty bass solos, and the other cats contribute many other great moments. McBride assembled a brilliant crew of cats for the date, and the result is definite worth a listen…and another…and another! This interview is VERY telling. Christian McBride has done a whole lot of transcribing not only to help his bass playing, but also to help his arranging! He’s definitely an inspirational cat. Learn Jazz Standards.com is proud to promote renowned trumpeter Ambrose Akinmusire’s 2014 release of The Imagined Savior Is Far Easier To Paint. What distinguishes a musician from the rest? It’s personality; personality that has been saturated into the life-blood of the music, narrating stories, portraying the scope of human emotion. For Ambrose Akinmusire, music simply is a channel in which he chooses to communicate his perspective. He’s not afraid to paint the darker shades of human experience to match the light, giving his music an honest, powerful effect. This release holds a different vibe than his last record, When The Heart Emerges Glistening (2011), a testament to evolving new frontiers for Akinmusire. With it comes new sounds: the incorporation of a string quartet, the unique guitar voice of Charles Altura, and an emphasis on vocalists including, Becca Stevens, Theo Bleckmann, and Al Spx. The powerful sound of his group, with the addition of Charles Altura, comes in strong with As We Fight. Vocalist Becca Stevens sings a beautiful set of lyrics on the piece Our Basement, a tune that Akinmusire wrote about a homeless man who lives on his block. The tune Vartha features some incredible solos by Altura and pianist Sam Harris. Akinmusire plays magnificently on the reflective piece The Beauty of Dissolving Portraits, accompanied by the string quartet. The haunting monologue Rollcall for the Absent features the voice of the young girl Muna Blake reciting some names of those who have died from police brutality or acts of injustice. Akinmusire and drummer Justin Brown provide an eerie accompaniment. The 16 minute epic Richard is a live recording, delivering some incredible improvisation and cohesive interplay within the band. The Imagined Savior Is Far Easier To Paint, is a record that leaves you with a wide range of emotions. Ambrose Akinmusire’s music delivers powerful messages, messages regarding the human condition, and reflections of the soul. This one is worth many listens! Learn Jazz Standards.com is proud to promote vocalist Gretchen Parlato’s 2011 release of “The Lost And Found”. Joining Parlato for her third record as a leader is pianist Taylor Eigsti, bassist Derrick Hodge, drummer Kendrick Scott and saxophonist Dayna Stephens joins for several tracks. Gretchen Parlato once again brings her unique sound and creative interpretations to this musically versatile record. Many genres are explored, all creatively stamped with her unique touch. Parlato’s music is always saturated with personality. This personality is what makes this album such a joy to listen to. Opening the record is her take on Simply Red’s “Holding Back the Years”, an arrangement locked down with a solid groove and a beautifully executed melody by Parlato. “How We Love”, a Parlato original, fuses her pop and r&b influences into a magnificently catchy tune. Watch out for Taylor Eigsti’s tasteful solo on this track. Perhaps a highlight for jazz fans is her haunting take on Wayne Shorter’s “Ju-Ju”. Dayna Stephen’s intense and airy saxophone sound accompanies Parlato’s whispering interpretation of this classic melody. A musical dialogue between Stephen’s and Parlato unravels and sends their improvisational prowess into the spotlight. Joining as a special guest is vocalist and guitarist Alan Hampton on “Still”. This folk-like collaboration focuses on both Parlato and Hampton’s masterful abilities as singer-songwriters, adding a refreshing contrast to the album. Parlato adds lyrics to trumpeter Ambrose Akinmusire’s “Henya”, a chilling melody with a beautiful set of lyrics to accompany it. “The Lost And Found” serves as a sincere statement in modern jazz, a music that is constantly influenced by it’s surroundings. This one is highly worth checking out! I couldn’t recommend it enough. Learn Jazz Standards.com is proud to promote guitarist Gilad Hekselman’s 2013 release of “This Just In”. Joining Hekselman on this record is Marcus Gilmore on drums, Joe Martin on bass, and Mark Turner on tenor saxophone. For his fourth release as a leader, Hekselman continues off from his previous 2011 release of “Hearts Content” with a wave of fresh creative energy. These musicians are no strangers to each other. The band is an actively working band, and as a result their sound has developed a distinct expressive personality. Hekselman brings to this record seven new original compositions and two covers, all of which are carried out by the band beautifully. The record opens up with Above, a gracefully flowing composition with a truly heartfelt melody. Hekselman’s tone is as always lush and beautiful; each note delicately and thoughtfully placed. The record is separated by a series of “Newsflashes”, each one either providing transition or contrast between each tune. Tunes such as the title track This Just In, demonstrate the extraordinary chemistry between Mark Turner and Hekselman. Their sounds blend well together and both musicians bring so much creativity to the table. Hekselman takes a powerful, atmospheric solo with a hint of overdrive to back his lines. The melodic writing that has defined the guitarist as a composer is delivered here again. March of the Sad is appropriately titled. Gilmore and Martin’s groove drives the trio forward and Hekselman glides over the top; intricately weaving lines through the time. Hekselman takes an opportunity to take out his acoustic guitar on “Dreamers”, yet another enchanting melody. The band plays a climactic rendition of Don Grolnick’s “Nothing Personal”, one of the records highlights. Both Turner and Hekselman take turns trading chorus’s, and the band develops some momentous energy. The interaction between all of the members takes center stage and the group creates a brilliant musical conversation on this piece. This Just In provides its listeners with a musical selection that thrives on creativy and honest music making. Gilad Hekselman has once again delivered a very well done record that deserves many listens. True expression and sincere musicality allows this album to stand out among others. Don’t deprive yourself of this one. Learn Jazz Standards.com is proud to promote renowned pianist Eldar Djagirov’s 2011 release of “Three Stories”. Three Stories is Eldar’s first solo piano record to date; a testament of his musical command and virtuosity on his instrument. This collection of music is thoughtfully put together with music that stretches across a wide span of musical interest. Djangirov’s heavy influences of jazz and classical are deeply present here. His take of popular standards such as I Should Care and Darn That Dream exude his mastery of the jazz language. Beautiful weaving lines, blues and bebop are all heard. But Eldar’s personal sound outshines it all, making it unique, interesting and original. His playful version of Thelonious Monk’s composition In Walked Bud is rhythmic, energetic and full of life. He takes time out to tip his hat to Chick Corea with his tune Windows. Djangirov’s technique and dedication to his instrument is evident on his performance of Bach’s Prelude in C# Minor and Gershwin’s Rhapsody In Blue is fantastically memorable. Russian Lullaby is played with sensitivity and delicate touch; a beautiful piece that is played with passion and depth. His take of Dave Matthews’ So Damn Lucky is creatively transformed into a solo piano piece and also pays homage to his influences in the pop/rock scene. Three Stories is highly recommended. Eldar Djangirov delivers us some heart-felt and masterfully played music, worth listening to many times over. Learn Jazz Standards.com is proud to promote bassist Chuck Deardorf’s 2011 release of “Transparence”. Based out of Seattle, Deardorf has been an integral member of the Northwest jazz scene for over two decades. The best way to describe “Transparence” is a pallet of many colors. The brilliance of this record is the different contrasts in tunes and styles Deardorf brings to the table. As a result each tune features different bands or a different mix of personnel. The musicians joining him are some of Deardorf’s closest friends and colleagues, all musicians he’s been working with for years. Among them are saxophonists Hans Teuber and Richard Cole, guitarists Bruce Forman, Dave Peterson and Rick Peckham, pianists Jovino Santos-Neto and Bill Mays, drummers Mark Ivester and Garry Hobbs just to name a few. This record features everything from interactive and unpredictable takes of tunes like “Alone Together” to arrangements of tunes like The Beatles “Dear Prudence”. A particular favorite is the first track “Collage” which features beautiful quartet interaction and a brilliantly composed shout chorus to take the tune into a different direction. It’s a record that always keeps you guessing what’s coming next, keeping it always fresh and interesting. I can’t recommend this record enough! Learn Jazz Standards.com is proud to promote renowned saxophonist Joshua Redman’s 2014 release of Trios Live. Joining Redman for this trio release on Nonesuch records is drummer Gregory Hutchinson and bassists Matt Penman and Reuben Rogers. The album was recorded live with two trios and at two different venues: Jazz Standard in NYC and Blues Alley in Washington, DC. The repertoire is made up of a set of four original compositions by Redman and three covers of classic jazz pieces. Redman’s trio is astoundingly creative. Joshua Redman has been a remarkable force on the jazz scene for decades now, and Trios Live is a reminder that he is still moving forward with more creative drive than ever. Renditions of tunes such as Sonny Rollin’s Mack the Knife highlight the trio’s conviction to maintaining the tradition, all while naturally reflecting jazz in it’s modern expression. Redman plays Never Let Me Go with incredible taste, weaving through the rhythm sections colorful interactions beautifully. The original piece Soul Dance summons forth a melodic, bluesy head, with plenty of room for free roaming during the solos. The set closes appropriately on the funky driving piece The Ocean. Redman opens up the piece accompanying himself solo, before letting loose into a heavy groove with the band. Trios Live is an album not to be missed! Redman and the gang bring us home once again with incredible musicianship, groove, and memorable tunes. This record is highly recommended! Learn Jazz Standards is proud to promote pianist and organist Sam Yahel’s 2007 release of Truth and Beauty. Joining Yahel for this trio release are his good friends and musical companions Brian Blade on the drums, and Joshua Redman on tenor saxophone. Though an accomplished pianist, Sam Yahel wields the organ for this record. Truth and Beauty exemplifies the evolution that the organ trio has undergone. Yahel, Blade, and Redman are no strangers to each other, having played in each others projects for years. The result is a very conversational and communal sound; music that flows naturally and effortlessly. The album consists of Yahel’s originals and a set of beautifully done covers. The lyrical Man O’ War hosts some creative improvisational work from both Yahel and Redman, Blade accompanying the two brilliantly. Yahel does not hesitate to go against the norm and play solo on his cover of A Paz. Child Watching is full of movement and groove, a piece that really demonstrates the trio’s capabilities. Truth and Beauty speaks for itself. For those who love the Hammond B3, Yahel shows us what this instrument is capable of. The original sound of this trio keeps this record fresh and well worth many listens. Learn Jazz Standards is proud to promote renowned pianist Aaron Goldberg’s 1999 release of Turning Point. For this release, Goldberg is joined by bassist Reuben Rogers, drummer Eric Harland, percussionist Karsh Kale, saxophonists Mark Turner and Joshua Redman, and Carla Cook on vocals. This record features beautiful compositions by the pianist and some standards with fresh, new perspectives. Fantasty in D has a bright, cheerful melody, doubled and harmonized with sax, vocals and piano. The arrangement is fantastic, and all of the solos glide brilliantly through exciting material. Familiar modern composing techniques such as the bass line doubled by the piano in Turning Point, are utilized tastefully. Harmonically, Goldberg creates intriguing movement throughout his composition, always molding and shaping into interesting forms. The classic standard The Shadow of Your Smile is arranged masterfully, featuring Joshua Redman on saxophone who barrels into his solo with astounding energy. With a few reharmonizations as well, the tune takes on a new identity all while still reminiscent of the original and true to it’s form. Con Alma, takes on it’s own unique vibe as well, marked with a 5/4 groove and percussive phrasing. Head Trip‘s eccentric melody plunges into some uptempo, swinging solos by Goldberg, Turner and Harland. Turning Point is a record that reminds us where jazz has been, where it is now, and where it is going. Aaron Goldberg and his band brings us some excellent music; music that comes from an honest and genuine place. This record is definitely worth many listens! Learn Jazz Standards.com is proud to promote saxophonist Chris Potter’s 2009 release of “Ultrahang”. Featured on this record is Potter’s Underground band who’s members include Adam Rogers on guitar, Craig Taborn on Fender Rhodes and Nate Smith on drums. The Underground delivers once again on this one. “Ultrahang” is an energy packed musical statement which exudes Potter’s compositional genius and instrumental mastery. Potter and the gang successfully fuse their funk, rock and jazz influences, resulting in heavy grooves and brilliant musical interplay. A defining sound of this record is Potter’s saxophone and the guitar of Adam Rogers doubling the melodies together. Both create a dynamic and bold punch to the themes while Taborn and Smith are able to hold down the groove in the back. Opening the record is the title track “Ultrahang”. Potter begins the tune solo, establishing the groove and theme until the rest of the band comes in to compliment his introduction. The theme on “Facing East” sheds light on Potter’s brilliant melodic writing. Adam Rogers takes an especially dirty solo on this one. Perhaps the most aggressive tune presented is “Rumples”, a tune composed by Adam Rogers. Locked down by a heavy-driving groove, Potter and Rogers double a fast-paced melodic flurry of notes on the head. Both musicians take creative and well executed solos. The band does a beautiful take on Bob Dylan’s “It ‘Aint Me Babe.” Treated as a ballad, it’s relaxed feel creates a wonderful contrast with the rest of the album. A personal favorite is “Time’s Arrow”, sporting a soulful melody and beautiful harmonic changes. Chris Potter’s improvisational creativity takes the center stage here. Foots will be tapping to “Boots”, a tune backed by Nate Smith’s intense funky back-beat. Potter takes an especially brilliant solo on this one. “Interstellar Signals” closes the record. It starts with a sensitive, ballad-like melody which slowly leads into a section of free playing and ambient sounds. “Ultrahang” is a record that can be enjoyed by any music fan. It’s ability to satisfy groove, compositional creativity, and memorable melodies is what makes it special. I couldn’t recommend this one enough! Learn Jazz Standards is proud to promote Bobby Broom’s 2012 album, “Upper West Side Story.” The album features on Dennis Carroll on bass and Kobie Watkins and Makaya McCraven on the drums. This album is Bobby’s trio’s first album with all original tunes. Bobby is one of the greatest jazz guitarists on the scene today, and his trio has a unique sound with an all-star cast. Check it out! Learn Jazz Standards is proud to promote pianist Eldar Djangirov’s 2009 release of “Virtue”. This album features Eldar’s trio with Armando Gola on bass and Ludwig Alfonso on drums. Joining as special guests on the record are saxophonists Joshua Redman, Felipe Lamoglia and trumpeter Nicholas Payton. This is a record that always keeps you interested and if you’re looking for any dull moments you wont find it here. Virtue is packed full of incredible original material demonstrating exciting harmonic and rhythmic activity. Eldar’s improvisational skills continue to floor us on piano, but this time he jumps on the keyboard from time to time adding some very taste-full synth to the mix. This trio works together beautifully and “Virtue” is a testament to that. “Virtue” provides a spectrum of high energy tunes such as “Exposition” to beautiful and sensitive tunes such as “Estate”. I highly recommend this record! This is an album that everyone can enjoy musicians and listeners alike. Learn Jazz Standards.com is proud to promote saxophonist Joshua Redman’s 2013 release of Walking Shadows. Joining Redman for this record is his quartet featuring Brian Blade on drums, Larry Grenadier on bass, and Brad Mehldau on piano who also produced the album. Making this album very unique is the orchestra that accompanies the quartet. With beautiful arrangements by Mehldau, Patrick Zimmerli and conductor Dan Coleman, this record stands out as different among Redman’s other works. The repertoire consists of a variety standards and covers such as John Mayer’s Stop This Train and The Beatles classic Let It Be. Redman glides with ease over the accompaniment, weaving in melodic lines of distinguishable taste. Redman’s ability to shine in any musical situation has always been one of his strong suites. His playing is adaptable and always brings out the best in the music being performed. This is clear on Walking Shadows, a record that does not follow the predictable or the expected, but has found a path of its own. Walking Shadows is a very enjoyable, easy listen. It’s both inspiring and thought provoking, a record that deserves many accolades. The jazz and orchestral world meet up to create a beautiful compromise. Learn Jazz Standards.com is proud to promote saxophonist Brent Jensen and pianist Bill Anschell’s 2009 duo release of “We Couldn’t Agree More”. On this record two phenomenal musicians come together to join in an intense musical conversation. For this duo recording they chose to play a variety of their favorite standards, all of which are performed with great depths of creativity and personality. The beauty of this record is its authentic rawness. When you listen you feel as if two friends walked into a room to jam and call tunes, which is precisely what happened. It was recorded in a living room studio in Boise, Idaho during a break from a tour. The two musicians had no pre-conceived set list. The title says it all. Jensen and Anschell weave in and out of each others ideas with incredible ease. Both players are huge fans of rhythm, which you can hear quite clearly and their melodic ideas flow together nicely. Anschell’s approach is very refreshing. He chooses not to conform to being simply an accompanist to Jensen but creates interplay and contrasting lines throughout the dialogue. I can’t recommend this record enough! It’s highly entertaining and to me captures the true spirit of the music. Brent Jensen is the Director of Jazz Studies and Woodwinds at the College of Southern Idaho in Twin Falls. He is the artistic director for the CSI Jazz Summit and the Jazz Saturdays workshop series. Brent has shared the stage with many great jazz artists including Gene Harris, Bobby Shew, Bill Watrous, the Lionel Hampton Big Band, Curtis Stigers, Gary Foster, Dianne Schuur, Lew Soloff, Don Menza and others. His recordings have received national jazz radio airplay and have been featured in jazz periodicals such as Jazziz, Cadence, Jazz Improv, and Saxophone Journal. In 1986-87, Brent studied in New York City with jazz legend Lee Konitz on a grant from the Idaho Commission on the Arts. He was a featured winner of the Woodwinds on Fire international talent search conducted by Jazziz magazine (August 1996). Brent made a striking debut on Origin with 2002′s “The Sound of a Dry Martini: Remembering Paul Desmond,” (Origin 82396) charting on National Jazz Top 50 for over thirteen weeks in the spring of 2002. Selections from Dry Martini held the #1 spot on a number of jazz radio station charts across the country including WRTI (Philadelphia, PA), WICN (Worcester, MA), and KUSD (Sioux Falls, SD). His 2008 release with Bill Anschell, Jeff Johnson and John Bishop, “One More Mile,” was named one of the top jazz releases of the year by the Village Voice. As a Seattleite, Anschell had the honor of playing a weekly gig with Northwest jazz legend Floyd Standifer for the final two years before his passing. In 2005, Anschell received a Golden Ear Award as the “Northwest Jazz Instrumentalist of the Year,” and in 2006 his trio was named the “Best Northwest Acoustic Jazz Ensemble.” In 2010 and 2011 Anschell again was named “Northwest Jazz Instrumentalist of the Year,” and his solo piano CD “Figments” was named 2011’s “Northwest Jazz Recording of the Year.” Golden Ears are administered by Earshot Jazz based on open voting by the Seattle jazz community. Learn Jazz Standards.com is proud to promote trumpeter Ambrose Akinmusire and his latest 2011 release “When The Heart Emerges Glistening.” His band features Gerald Clayton on piano, Walter Smith III on tenor saxophone, Harish Ragahvan on bass and Justin Brown on drums. Jason Moran who produced the album also makes a guest appearance. New York Times calls him a “…fiercely gifted young trumpeter” and gifted is certainly a good description. Ambrose Akinmusire is a rising star in the jazz world and is pushing the music to new limits and unexplored territories. I can’t recommend this album enough. It captures an enchanting vibe that will keep you engaged and curious to hear what happens next. The album captures eruptions of energy from brilliant compositions such as “Confessions to My Unborn Daughter” and haunting melodies such as “Regret(no more)”. All of the tunes are original compositions except for his take on the timeless standard “What’s New”. “Tear Stained Suicide Manifesto” is a beautiful tune that reaches a deep emotional level. The way the band plays together on this track is fascinating. Ambrose has succeeded in creating true art with this record and jazz fans will be curious to see what he will come out with next. Learn Jazz Standards.com is proud to promote Brad Mehldau’s 2012 release of “Where Do You Start”. The album is a companion record to his critically acclaimed “Ode”, which was released earlier in the spring. Joining Mehldau once again are the members of his trio, Larry Grenadier on bass and Jeff Ballard on drums. These musicians have been together as a band for many years, and their sincere musical connection is evident on this record. While “Ode” was a record featuring Meldau’s original music, “Where Do We Start” features 10 tunes by other artists with the exception of “Jam” an original of his. Kicking of this record is “Got Me Wrong” by Jerry Cantrell, a tune bursting with driving energy and brilliant trio interaction. “Holland” by Sufjan Stevens is a tune with a simple but powerful melody which Melhdau executes beautifully. Taking it into the tradition of the jazz realm, the trio plays a rhythm changes tune by Clifford Brown entitled “Brownie Speaks”. Solo’s by all three musicians on Sonny Rollins’ “Airegin”, demonstrates their remarkable creativity as individual artists. Brad Mehldau, being a fan of rock music, shows his influence by playing songs like “Hey Joe” by Billy Roberts. “Aquelas Coisas Todas” by Tonhino Horta has a Latin-influenced groove with a host of great rhythmic interactions between the band. Closing the record is the title tune “Where Do We Start”. Brad Mehldau is a masterful ballad player and this tune does not disappoint. I highly suggest this record! The Brad Mehldau trio is one of the best piano trios working right now and features some of the best players on the scene. This record can be enjoyed by any lover of music. Learn Jazz Standards.com is proud to promote world-renowned drummer Roy Haynes and his 2006 release of “Whereas”. Joining Haynes for this live recording is alto saxophonist Jaleel Shaw, pianist Robert Rodriguez and John Sullivan on bass. Those familiar with the history of jazz and its evolution know that Roy Haynes is one of the musics’ most iconic living figures. Haynes has left his fingerprint on almost every important period in jazz. From playing alongside the legendary Charlie Parker to leading his own groups to the present time, Haynes has been there through it all. “Whereas” is recorded live at the Artists’ Quarter in St. Paul Minnesota in honor of the official “Roy Haynes Weekend”. The name of this band, The Fountain of Youth, clearly describes this live record and the spirit that Haynes brings with it. Kicking off the record is John Coltrane’s Mr. P.C. Jaleel Shaw takes the first solo, an eruption of energy and passionate expression. The interaction and interplay between the rhythm section takes center stage and Haynes drumming clearly reflects his mastery. My Heart Belongs To Daddy has an interesting and original take to it. Starting off with a solid straight-eight groove by Haynes and quickly joined by a simple but memorable bass line, Jaleel Shaw shapes the melody beautifully and effectively. Rodriguez follows up with a fantastic solo. The uplifting melody on Like This brightens spirits and sends the record flying forward. Once again Rodriguez and Shaw take tasteful and melodic solos. Hippidy Hop, Haynes’ drum solo feature, blows us all away with 7 minutes of phenomenal and masterful drumming. With incredible rhythmic energy and melodic explorations, the solo is continually compelling and interesting throughout the duration. Following the solo the band launches into James another spirited tune bound to put a smile on your face. Joe Henderson’s Inner Urge is packed full of energy and incredible musicianship. Take special note of John Sullivan’s beautifully executed bass solo. The record comes to a close with Charlie Parker’s Segment. Jaleel Shaw and Robert Rodriguez do some great choruses of trading near the end of the tune. Whereas is one of those records that is just plain fun to listen to. Always playful, energetic and full of character, there’s not a dull moment to be found. Of course the greatest joy of listening to this record is the incredible spirit of Roy Haynes. His music continues to entertain and inspire us. Learn Jazz Standards.com is proud to promote the jazz great Wayne Shorter’s 2013 release of “Without A Net”. Joining Shorter for this release is his legendary quartet which has been with him for over a decade: Brian Blade on drums, John Patitucci on bass, and Danilo Perez on piano. Without A Net is another compilation of live recordings, a setting in which the Shorter quartet works best. What defines this quartet is their cohesive communication with one another. There is a strong musical understanding among these musicians, which allows for freedom in the music they produce. Without A Net is their best demonstration of this to date. Shorter revisits tunes such as Orbits, a piece first recorded with Miles Davis on “Miles Smiles”. The 23 minute long epic Pegasus is certainly a highlight of this album. The wind ensemble, Imani Winds, joins the group for a phenomenal performance at the Walt Disney Concert Hall in Los Angeles, California. Wayne Shorter’s powerful and elusive sound shines forth throughout the repertoire. Myrrh is a moving piece and brings forth this sound with new intensity. The close relationships these musicians have with one another is apparent through their interactions in Zero Gravity to the 10th Power. Without A Net is best described as an experience. It’s a journey of sorts and each tune leads you to different scenery. Wayne Shorter contains a musical force that very few other musicians in jazz history have possessed. It’s his control and mastery over his music and sound that makes this record unforgettable. If you want to hear music that comes straight from the core of a persons being, look no further. certainly an impressive list. A shame, though, that among 92 albums just 2 of them are not male dominated. Being a female hobby musician myself, I somehow find it hard to stomach that women are not featured more. Hi Thea, thanks for the critique! It certainly wasn't intentional by any means. And while we don't do album reviews anymore I would certainly would have loved to feature more female albums. So many talented women in jazz from Emily Remler all the way to Linda Oh. My latest podcast of Discovering Jazz is loaded onto itunes, and I give a callout to learnjazzstandards.com. Such an amazing blog and podcast you have, Brent. So much material it's overwhelming. One question it stirs up……is there really a great deal of difference between jazz from the 2000's versus most of the great stuff from the 60's to 90's? What do you think some of those differences are? If I listened to a bunch of jazz albums from the last 20 years……..how would I know that it was from the last 20 years? Hi Larry, thanks for sharing your show, and I appreciate you mentioning LJS! I think the real difference starts in the 90's until now. You had a real different set of sound emerging, with artists like Kurt Rosenwinkel, Brad Mehldau, and many others. I think harmonically the original music starts to change in the New York jazz scene. Listen to artists like Aaron Parks, Mike Moreno, and those are just listing a few. So much to talk about on this subject, so little time. Thanks again for the mention! Thanks Brent. I will try to listen to those artists. Is there anything in particular I should listen for in terms of how the music starts to change harmonically? Thanks for sharing! Abercrombie is certainly a great one to listen to. I also want to mention that I plan to play some tracks from these albums on my podcast and talk about them…….in case anybody is interested, its called "Discovering Jazz". http://discoveringjazz.ptbopodcasters.ca/. Thanks for sharing your podcast, took a quick listen, and sounds great! Sounds like great selections….I'll try to listen to some of these. Might I also suggest: Eulalia by Bob Dorough (2011) and Movin' Forward by Robi Botos (Toronto pianist and composer) (2015.